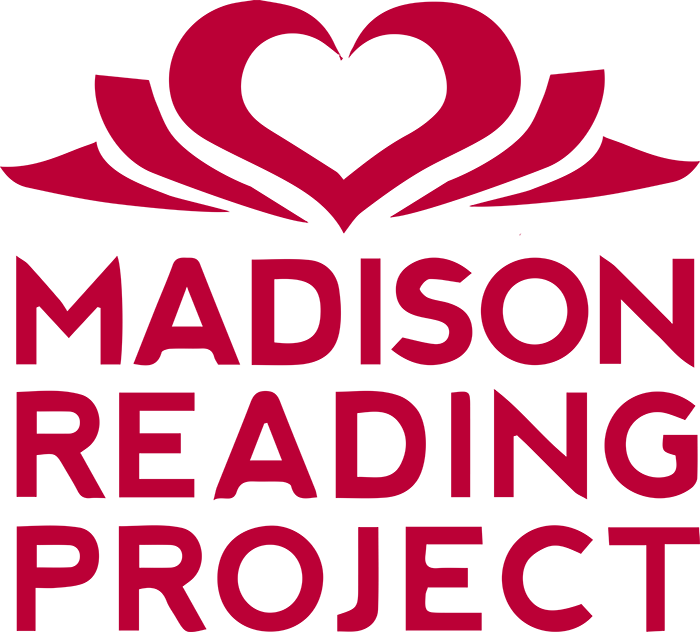 The Madison Reading Project is located at 8030 Excelsior Drive, Suite 306, Madison, WI 53717. The club is planning to meet at the Madison Reading Project once a month on the 3rd Monday of the month during our regularly scheduled time instead of meeting at Vitense. We will help with sorting and stamping books, shelving books, preparing programming materials and delivering books to Little Libraries around town. Project Home, in its 41st year, has its 31st annual Paint-a-Thon coming up. In addition to painting houses, they do repairs, maintenance, and upgrades to houses all year long. Flood prevention is a specialty of Project Home. They work with a water and mold expert. Ninety six percent of water in basements, Jason Hafeman told the club, is caused by poor control of roof and surface runoff, all of which is preventable. Clogged gutters, clogged or detached downspouts and or negative grade around foundations are normally the cause. A solution is to build up around the foundation with shredded top soil, with a visible slope away from the house. Downspout extensions should be 4 to 6 feet from the house. Steel gutter screens are also helpful. 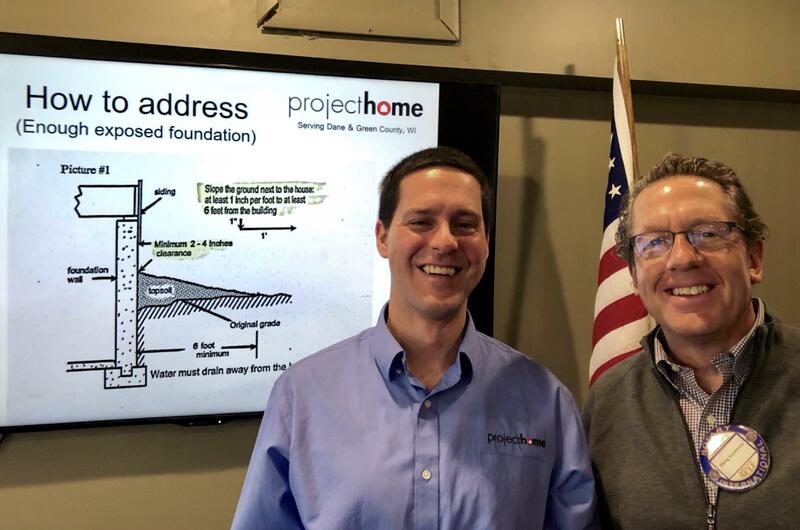 Project Home, which does home energy audits, insulation and air sealing, home repairs and accessibility modifications, offers classes on home maintenance open to the public. Customer financing for Project Home repairs is offered by the Dane County Credit Union. Our thanks to Jason Hafeman, Outreach Manager for Project Home for this important work in the community and for his presentation. We invite Section 501© (3) organizations and other non profit charitable organizations that support our mission to apply for a grant from the Rotary Club of Madison Breakfast Foundation, Inc. Membership chair Judy Levine presents badges to new members Amy Montoya and Joyce Crim. on February 11. 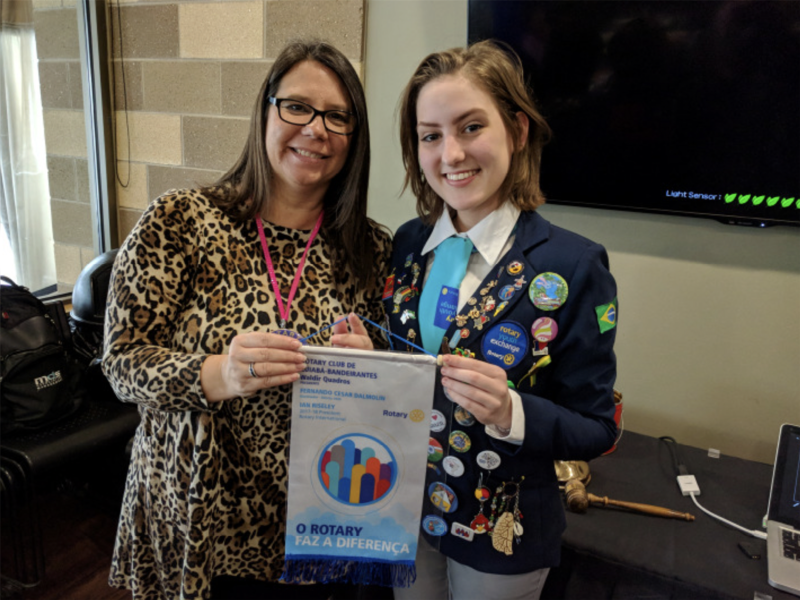 Sixty eight million people have fled their homes world wide and one half are kids, Susan Kierman told Breakfast Rotary on February 4. In FY 2018, the US admitted 21,000 refugees and 52 arrived in Madison, which is half of the year before. Their mission is to make a home in Madison. Open Doors for Refugees was founded in 2016. They currently have 350 plus volunteers. They are not associated with any faith based group, but work with Jewish Social Services and Lutheran Social Services. Open Doors for Refugees supports their initial settlement by gathering donations of household items, setting up apartments, assisting with everyday tasks, helping with employment, offering cultural orientation and providing language assistance. They also provide long term support so that refugees can succeed and integrate fully into the community. Public events are held to promote connections and cultural awareness, inclusion and to raise public awareness about the importance of refugees in increasing the richness and cultural diversity of our community. ODFR is a non profit organization funded by individual contributions, grants, corporate gifts and fundraising events. Our thanks to Susan Kierman for her wonderful work in our global community in the spirit of Rotary and for her presentation. 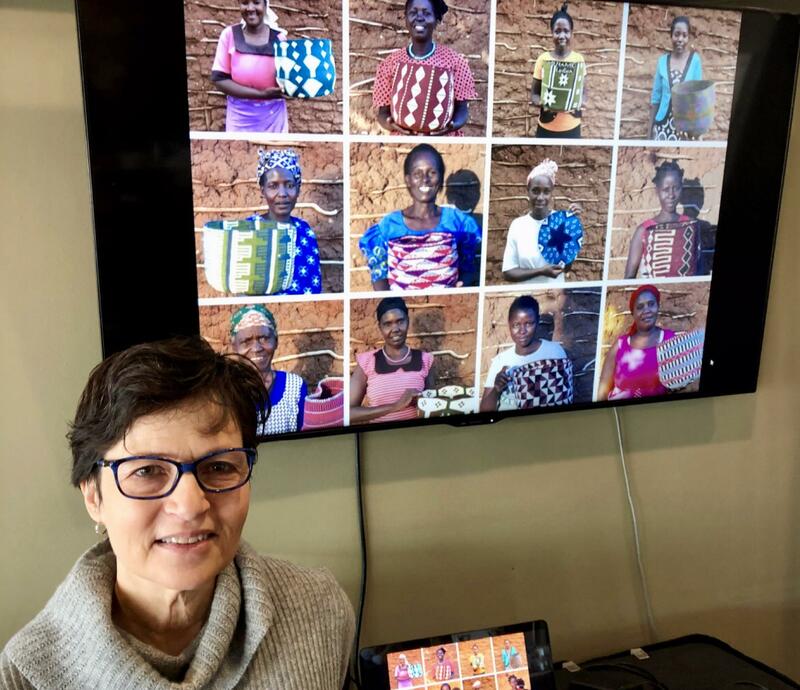 Leslie Sager, January 21 speaker, in front of pictures of women in Kenya. The Success One project, the Kiondo Project: Women have historically made their kiondo baskets with yarn and sisal. Leslie helps sell their baskets and plans to put gutters and tanks on their roofs with the proceeds. The Success Two project: Leslie’s students came up with a plan to illuminate home for $2 each with LED solar batteries, so the women could farm during the day and read and create baskets at night and crochet. The Success Three project: The students designed a double sided water vest for the women to transport water. 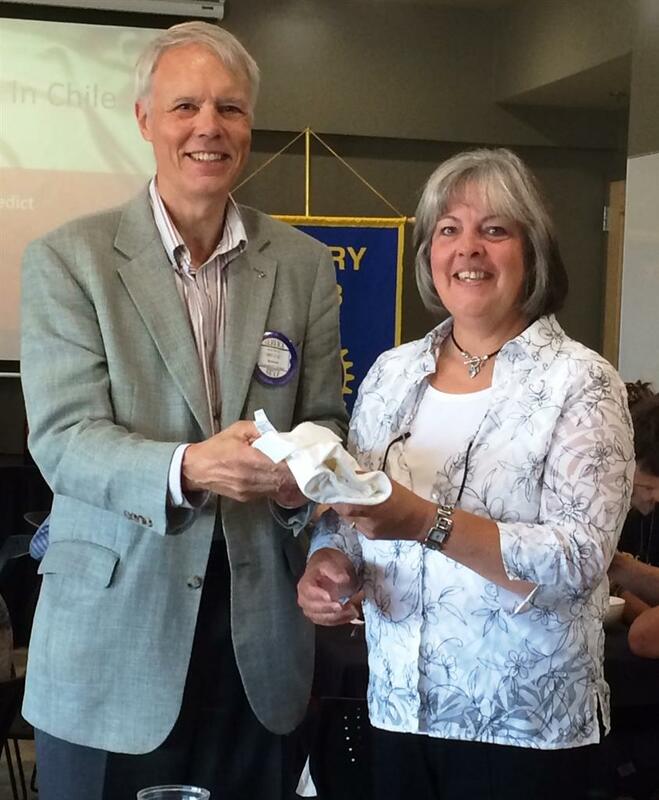 Our thanks to Leslie Sager for her work in Kenya in the spirit of Rotary and for her presentation. The Dyer’s daughter, Christopher and Heather Dyer (past president), Mike Kafka, and Fe’ Semira at the Holiday party. 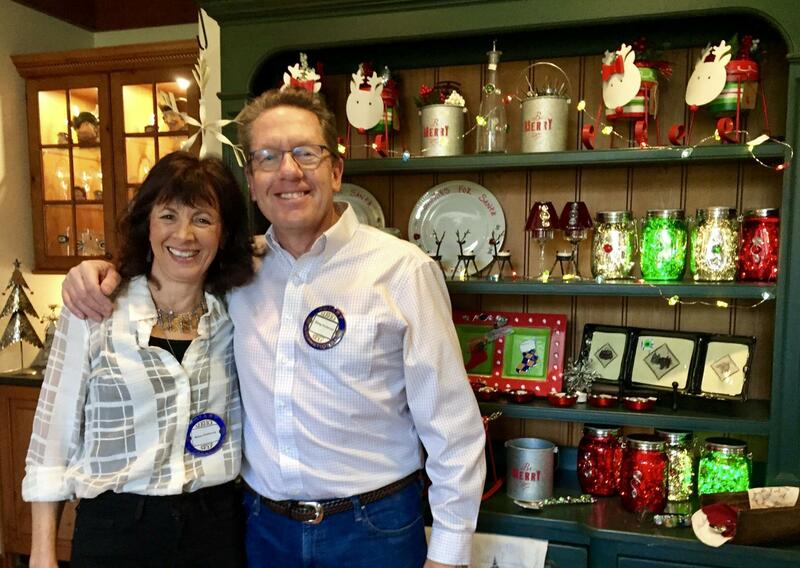 Steve Rosenblum with Breakfast Rotary’s new secretary Stephenie Stetson at the Holiday party. 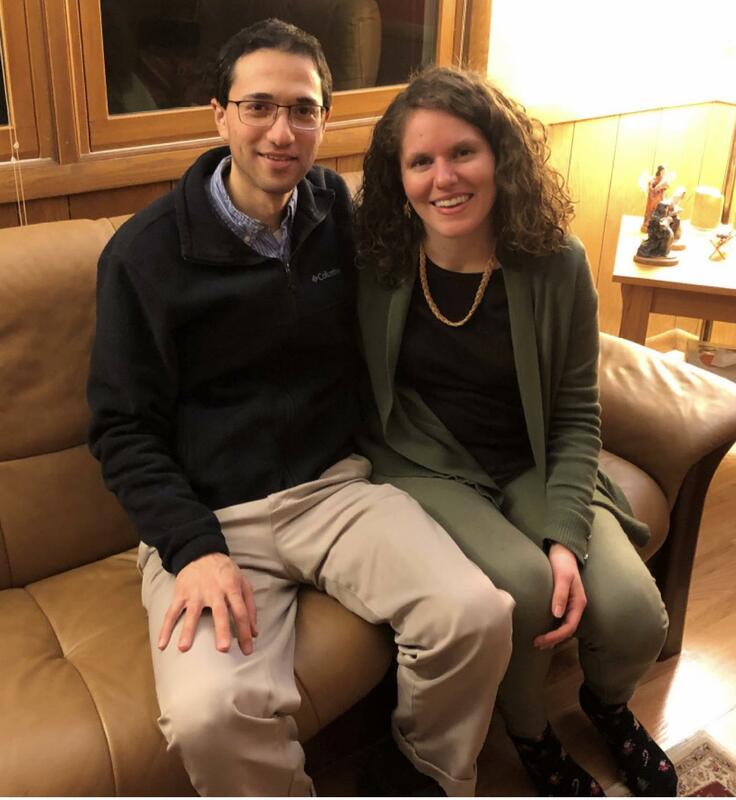 Rafael and Erin Hastey at the Holiday party. 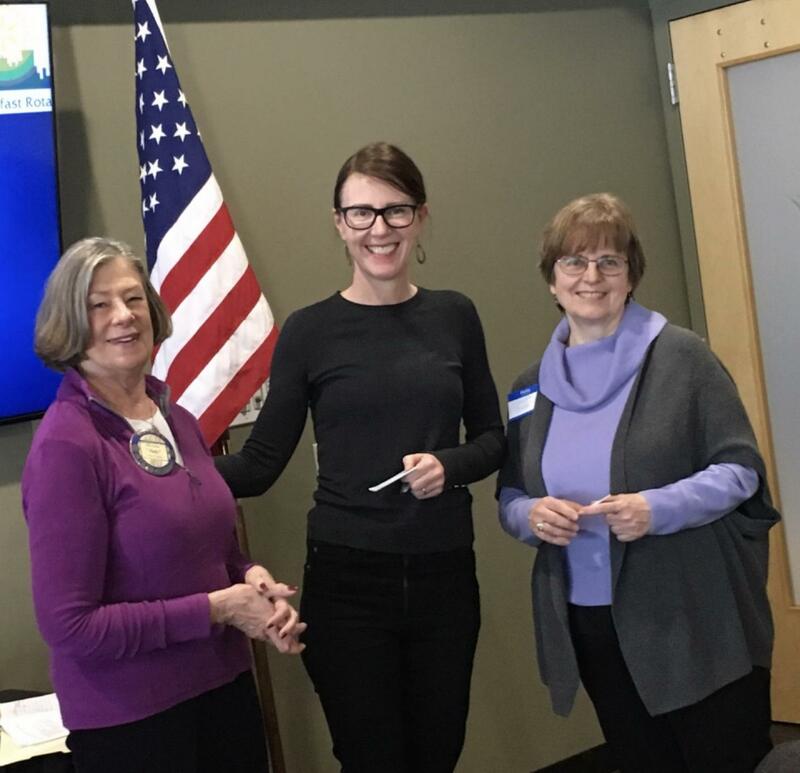 Membership chair Judy Levine with Bruce Harville, presenting new member Stefanie Freyberger with her badge on January 14. Stefanie Freyberger, who was sponsored by Bruce Harville, works in the UW-Madison Office of Strategic Consulting. She is married to Joachim Freyberger and they have two children. 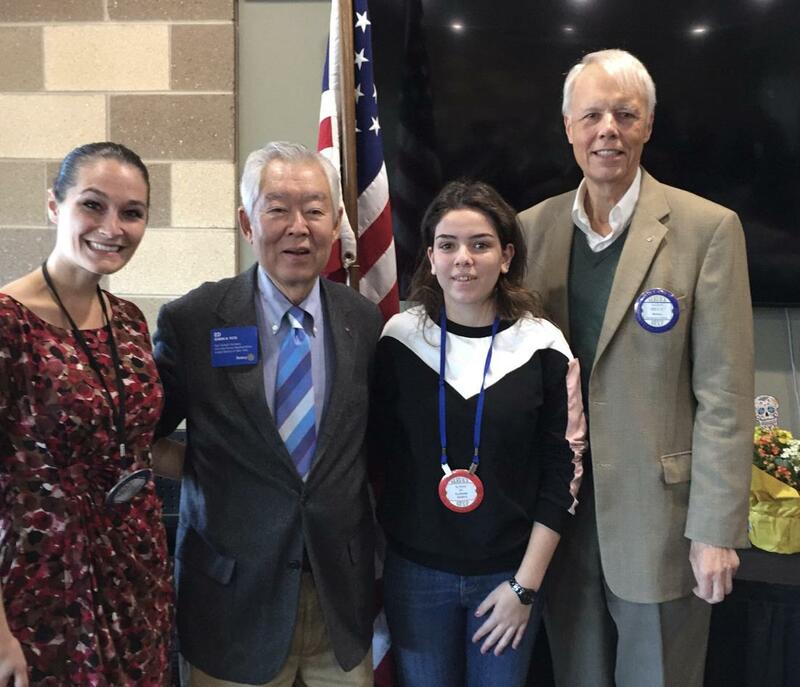 Stefanie is interested in international service community service and Rotary Books for the World. Many thanks to Eng and Bill Braun for once again hosting a Madison Breakfast Rotary Holiday Party. 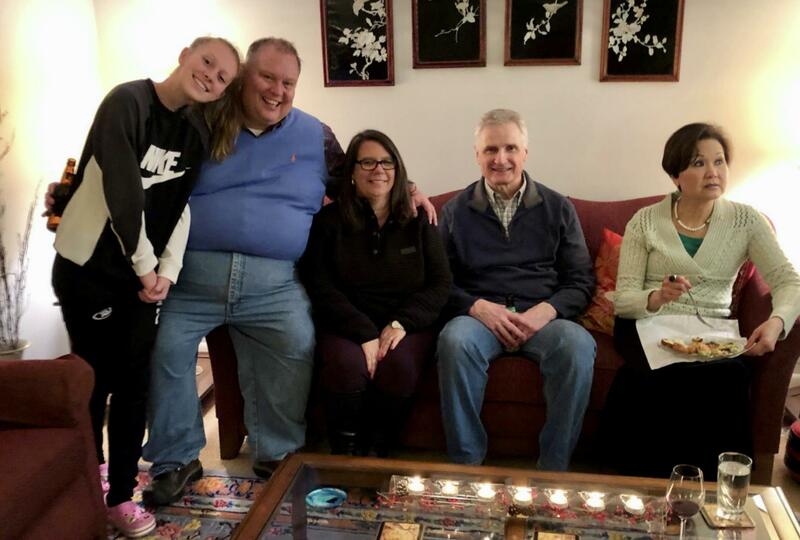 Club members were joined by old friends, the Dombroskis and Daniel, our former exchange student from Denmark, with his mother and sister and host families. 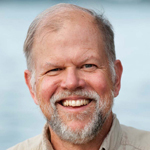 On January 7, club members enjoyed an interesting and informative presentation from Steve Carpenter, retired Professor and retired Director of the UW-Madison Center for Limnology. Marje Murray, December 10 speaker from All of Us Wisconsin. All of Us Wisconsin, launched in 2015, is an NIH Precision Medicine Initiative. Its mission is to accelerate health research and medical breakthroughs enabling individualized prevention, treatment, and care for all. It is an approach for disease treatment and prevention that takes into account individual variables in lifestyle and environment. The plan is to deliver the largest biomedical data set ever that is easy, safe and free to access. It attempts to change the faces of medical research. Up to now, most studies are done on white men. Now we must include underrepresented peoples, with at least 40% from underserved groups. The program will reflect the rich diversity of America. The approved protocol is to survey people, getting their physical measurements, blood pressure, BMI, heart rate, blood and urine samples. This is an opportunity to fight disease, especially for the health of future generations and ensure that your own community is included in the studies. Our thanks to Marje Murray for her work on the future of healthcare and for her presentation. Tabatha Davis and Rebecca Alcock have been involved with the Zapote Water project for four years. They have been in Guatemala 5 times and recently spent 3 months there. The first phase of the project has been completed. It brought water from springs in the mountains to the community. Previously the San Martin Water System was unreliable and overpriced. The average wait for water was 2.8 days. The second phase of the project, costing $51,885 would bring piping and taps to 100 families, a church and the school. 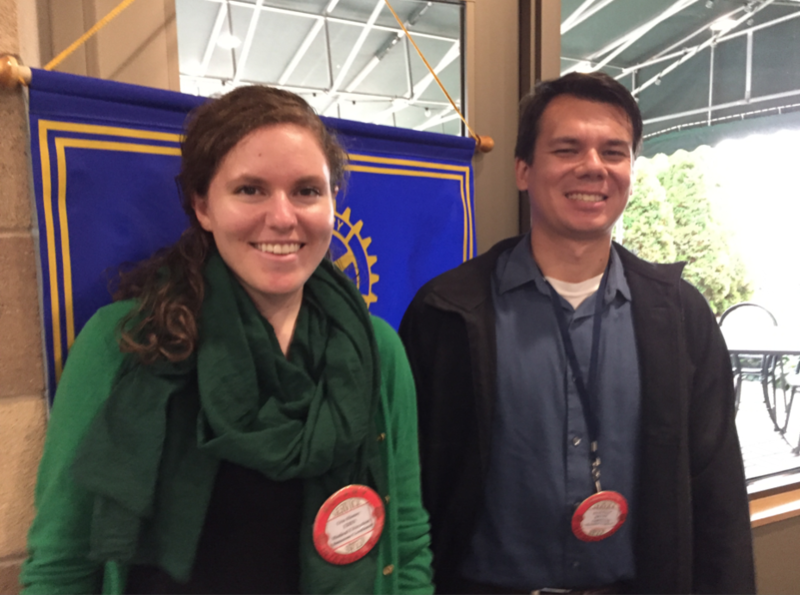 The Los Altos Rotary Club in Guatemala, which is 4 hours away, will handle the grant. They will need $10,000 to get matching grants to get started. 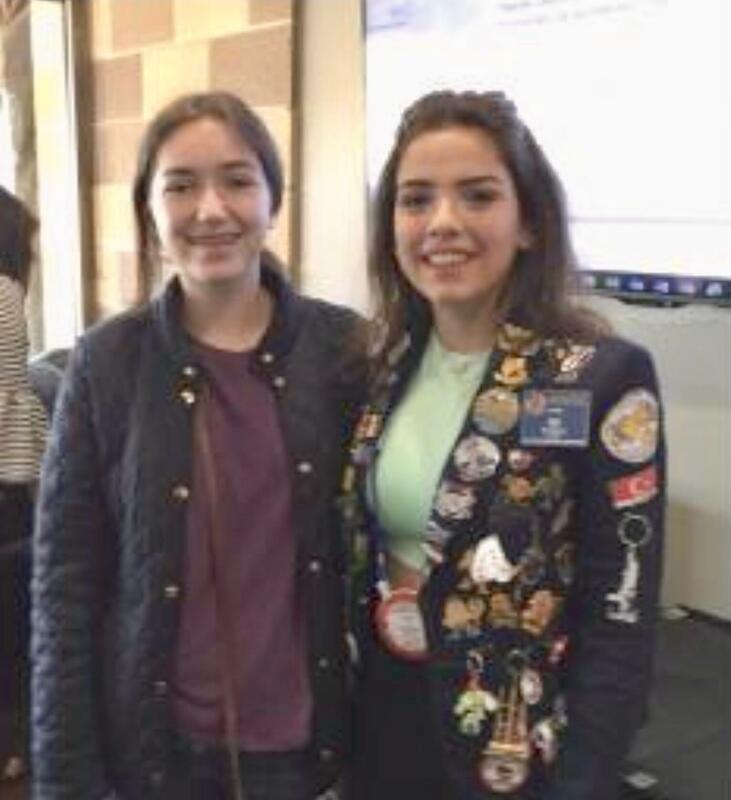 Our thanks to Tabatha and Rebecca for their wonderful work in the world in the spirit of Rotary and for their presentation. November 19 speaker Jason Ilstrup, President, Downtown Madison and Bruce Harville, Program chair. Jason Ilstrup, President of Downtown Madison, Inc. , has a law degree from Minnesota, and is the former general manager of Hotel Red. Downtown Madison, Inc. (DMI) is a not-for-profit, membership organization and the voice of the central city. 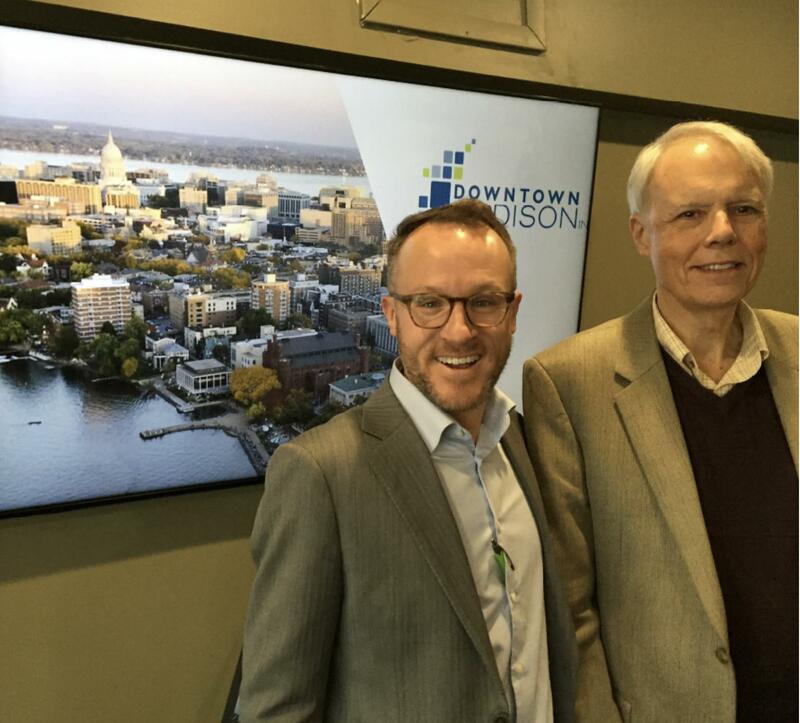 Formed more than 45 years ago, DMI advocates for the health and vitality of downtown Madison and exists because of and for its members. Businesses, residents, non-profit organizations and local government agencies provide their expertise to help accomplish DMI’s mission and work on projects, initiatives and membership programs. Downtown Madison extends from the Yahara River to Hotel Red. The Central Business District Improvement is a sister organization. More people are moving downtown, Jason said and retail space and the number of hotel rooms are growing. Among the challenges are transportation, especially for the service sector, affordable housing, and the quality of life and safety. The parking ramps are never full, he said. DMI has seven standing committees working on these and other problems. They look to other models in similar cities, such as Grand Rapids, Greenville, North Carolina, Austin, Texas, Pittsburgh, and Minneapolis. Our thanks to Jason Ilstrup for his work caring for our central city and for his presentation. 350 Madison mobilizes people in our community to fight climate change. 350 Madison is dedicated to reducing the amount of CO2 in the atmosphere to below the safe level of 350 parts per million (currently over 400). The group focuses on tar sands oil. They work to block the extraction, transport, and processing of dirty tar sands oil focusing on Wisconsin pipelines built by Enbridge, a Canadian corporation. They played a role in delaying Enbridge’s expansion of Line 61 in Wisconsin and are organizing landowners ahead of the anticipated effort to build a new Line 66 through Wisconsin. 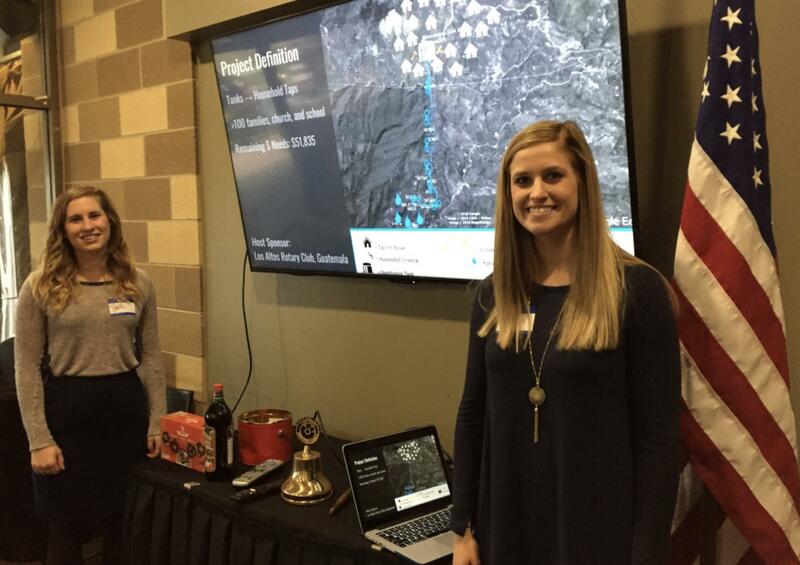 Our thanks to Gail Nordheim and Stephanie Robinson for their environmental work and for their presentation. 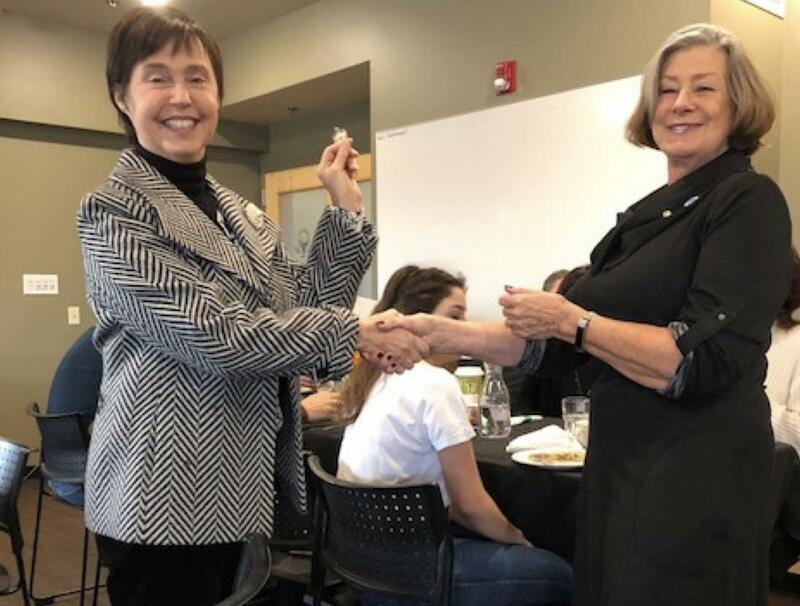 Joan Tillett receiving her membership badge from Judy Levine on November 5. Joan has been a host mother to the club’s exchange students and a long time friend of the club. Many thanks to Betsy and Doug Nordstrom, the hosts of the club’s fall fundraiser on October 26. Thanks also to the following club members and friends who worked at the event: Eng Braun, Fe’ Semira, Judy Levine, Bailey Lagman, Heather Dyer, Joan Tillett, Kevin Frost, Monica Tutte and Mike Kafka. 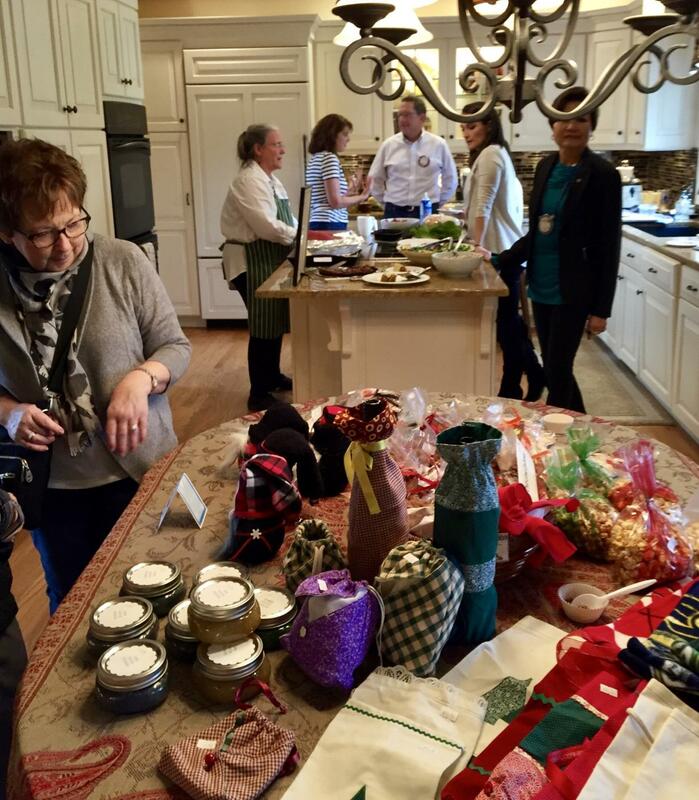 Betsy and Doug opened their home for the café and the five vendors: Surroundings, Remitts, Totally Wired, Embellishments, and Norwex. Betsy and Doug Nordstrom, hosts of the October club event. 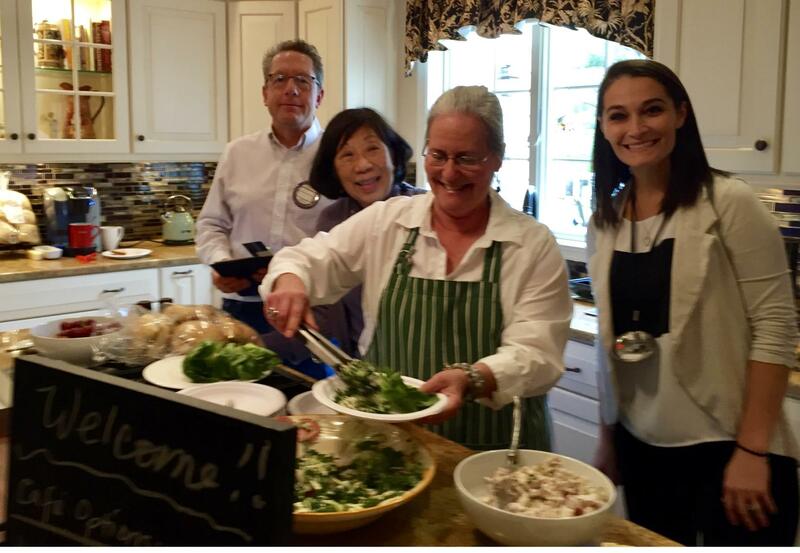 Doug Nordstrom, Eng Braun, Monica Tutte, and Bailey Lagman in the kitchen preparing and serving lunch for the café. The tasty and enticing bake sale table. A shopper checking out the whimsical items for the home on the Totally Wired display. 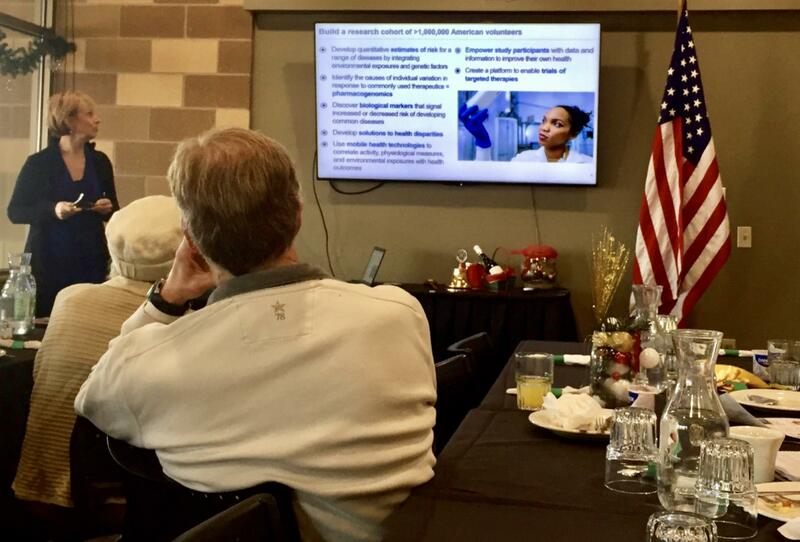 Education is one true pathway toward a better life, and UW-Madison has plenty of help for returning students, Martin Rouse, Dean and Director of Adult Career and Special Students told Breakfast Rotary on October 22. He was accompanied by two advisors, Autumn Sanchez and Ace Hillard. They support returning adult students with workshops, scholarships and advising. They help special students with admissions and sponsor the senior guest auditors program. They also have a career advising center for career changes. The Odyssey Program, in which students without any college experience, earn 6 credits of education, is part of this Division. There are two pathways to admission: freshmen take the ACT or a transfer pathway. A student not admitted to UW-Madison who takes college elsewhere and gets a B average, can reapply. Under the Badger Ready program, a student who takes 12 credits as a special student and gets a B average, will be guaranteed admission. 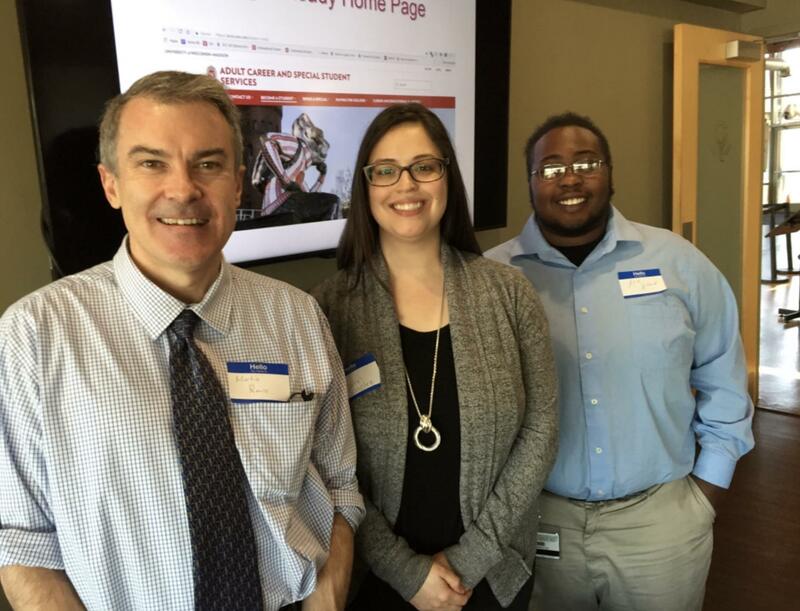 Our thanks to Martin Rouse, Autumn Sanchez, and Ace Hillard for their presentation and visit to the club. Ellsworth Brown, retired Director of the historical Society, and past president of Downtown Rotary, was the guest speaker on October 8. Without a heritage, every generation starts over, Ellsworth said. History makes us laugh and cry. What we learn from history is America has always been in war with itself. We have always been a nation in rebellion. Adam Burr shot the Secretary of the Treasury Hamilton. In he Civil War, 620,000 died, In the 1800’s partisanship was at an all time high and the newspapers called themselves outwardly Democratic or Republican. The U.S. has had its problems in the past and we will get through the current times. Our thanks to Ellsworth Brown for his visit and thoughtful presentation. He is a member of the National Board of American History of the Smithsonian. George Smithson donated the land for the Smithsonian which has warehouses all over the country. Life in history rich Turkey is full of family celebrations with music and folk dancing, Su told Breakfast Rotary on September 24. Su comes from Izmir, the 3rd largest city of Turkey, on the west coast near the Greek islands. The Republic of Turkey was founded in 1923 after winning independence in the war against the Allies. The Turkish alphabet has 29 letters some of which are marked for the Turkish language. Su went to an American School for all 12 grades in the same classes. They celebrate Halloween in her school but the rest of the country does not. Su’s father is an architect, her mother is an archeologist and she has one sister age 10. Su has participated in a model United Nations starting in the 5th grade. Each student represents a country and supports that country. She also participated in a summer camp at Brown University, and visited New York, Chicago, and Nashville. Su wants to be an architect like her father. The club enjoyed slides of historical Turkey as well as the wedding celebrations and dancing and was treated to Turkish candy. 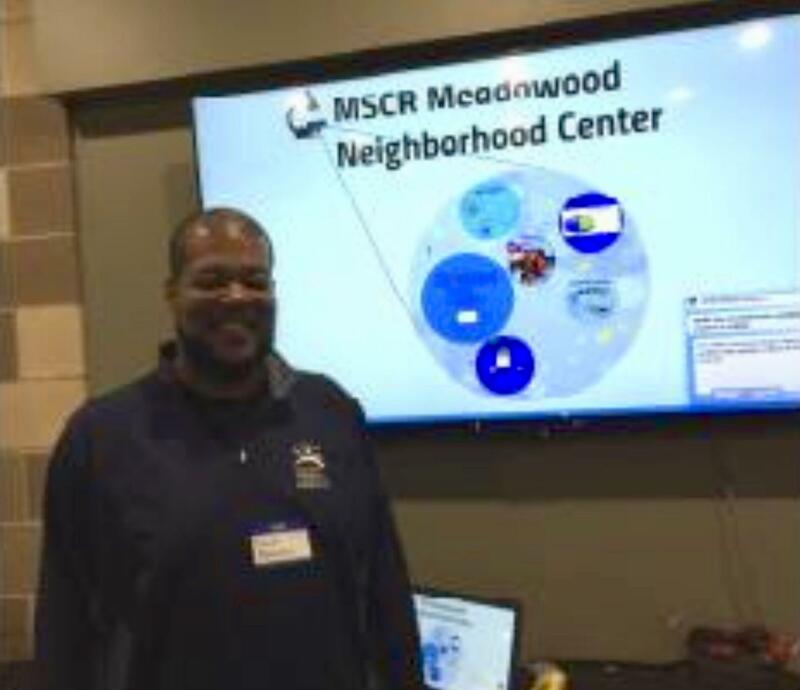 Club members were inspired by Tauri Robinson’s description on Oct. 1 of the programs at the Meadowood Community Center for youth and adults and the partnerships in events. For adults; a food pantry, fitness classes, a job shop, and an open computer lab. The youth programs serve K-12, including an after school program at Orchard Ridge for middle and high students with a recording studio “Meadowood Records.” Among the Center’s partnerships is a MMSD Play and Learn program on Wednesday and Friday from 10 am to 12 Noon. Other partnerships are First Tee, Common Wealth Recreation, and Read Your Heart Out where volunteers read once a month to 4 to 6 kids. They use books provided in advance from the library, which is located next door to the Meadowood Center. In the summer, they have a program for K-5 which is free. Tauri Robinson is a Madison native with a degree in Political Science from UW-Madison. Our thanks to Tauri for his wonderful work in the community and for his presentation. 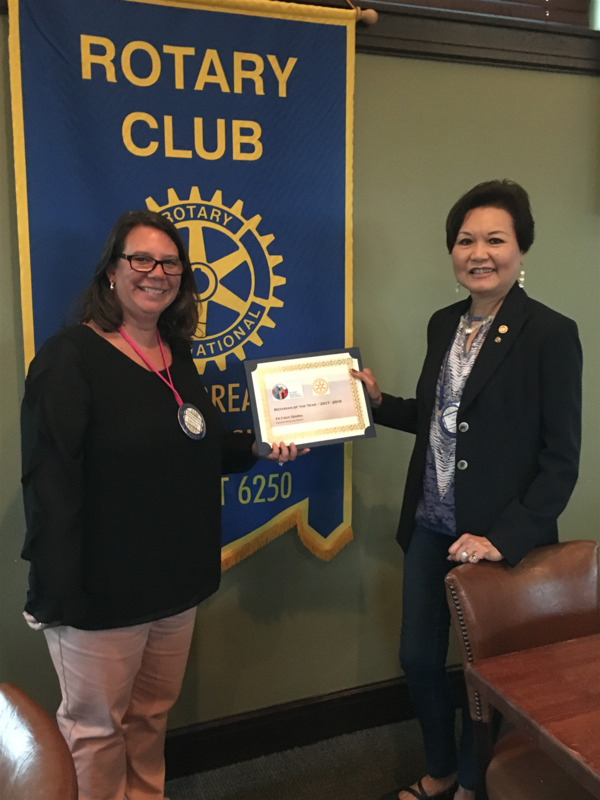 Fe Cruz Semira received the Rotarian of the Year award at the September 18th reception at Craftsman Table & Tap. Heather Dyer, 2017 recipient of the award, presented Fe with the award and a Paul Harris fellowship for her continuing work since 2005 as Treasurer of the club. Fe had previously been Rotarian of the Year in 2002. Visitor Sue Halambeck with August 27 speaker Emily Tucker and Judy Levine. The club enjoyed a visit from Emily Tucker, RI Regional Membership Officer for Membership Development. She was accompanied by Sue Halambeck District Governor Elect Nominee. Emily discussed strategies and resources for attracting prospective members. The club must define what is our value and how are we different. Also are we flexible and affordable and do we have a balance between business and fun and have a chance to socialize? For tips on membership, contact Rotary.org/membership or contact Emily.Tucker@rotary.org. 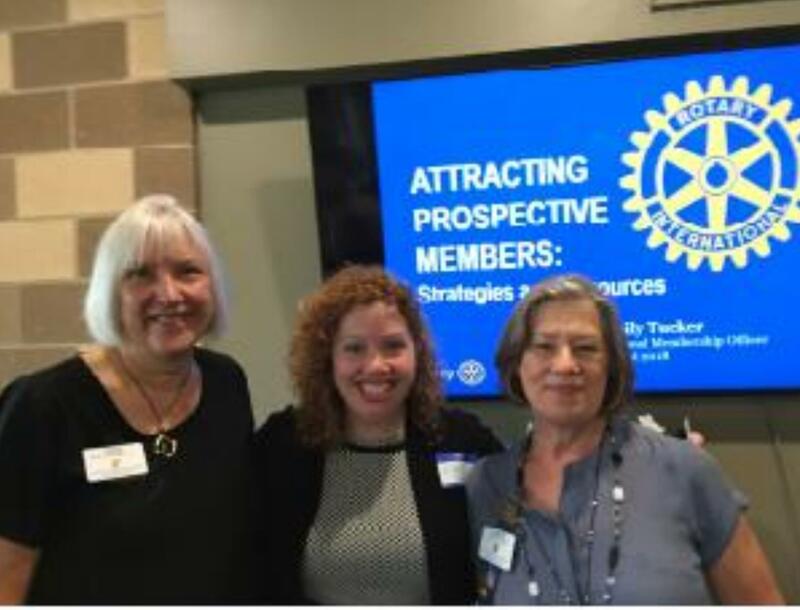 Club president Bailey Ebben with Ida Sobolik, Troy Kids’ Garden Manager, and Jill Carlson Groendyk, Farm to Early Care & Education Trainer, speakers on August 20. Community GroundWorks is a nonprofit organization that connects people to nature and local food. Through hands-on-education, children and adults learn gardening, urban farming, healthful eating and to care for natural areas. Through environmental youth programs, a CSA farm, community gardens, public food forests, a statewide school gardens network, and more, Community GroundWorks serves diverse communities and schools across the region. Project Home Paint-a-Thon team including members of Madison Breakfast Rotary, NBA, Zendesk, and JP Cullen. Madison Breakfast team members included Judy and Vic Levine, Bruce Harville, Mike Kafka, Stephanie Stetson and Steve Rosenblum, Bailey and Patrick Lagman. At the July 16th meeting we had the pleasure of getting to know more about Erin Hastey & Stephanie Stetson. At the July 9th meeting we had the pleasure of getting to know more about Bruce Harville and Bailey Lagman. We have a new president. Thanks for a great year, Heather. We know you will be great, Bailey. 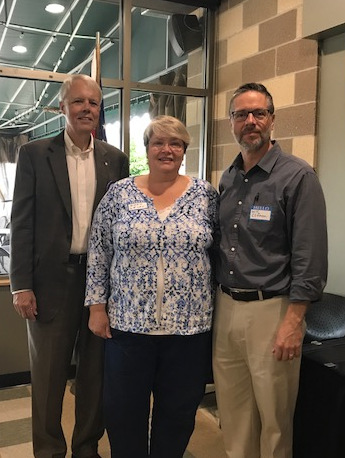 On June 27, Bruce Harville presented the Madison Breakfast Rotary Foundation awards for 2018 to seven worthy groups. Judy Levine (subbing for Thom Weiss for Books for the World), Patricia Eldred, (Madison Outreach Ministry), Kathy Rothering (ReMitts), Randy Sproule (Rubin for Kids), Sheila Muehlenbruch (UW Health Pediatric Early Literacy Project), Gary Muldoon (Books Are Power), Emily Auerbach (Odyssey Junior), Bruce Harville, President of Breakfast Rotary Foundation at the awards ceremony on June 27. 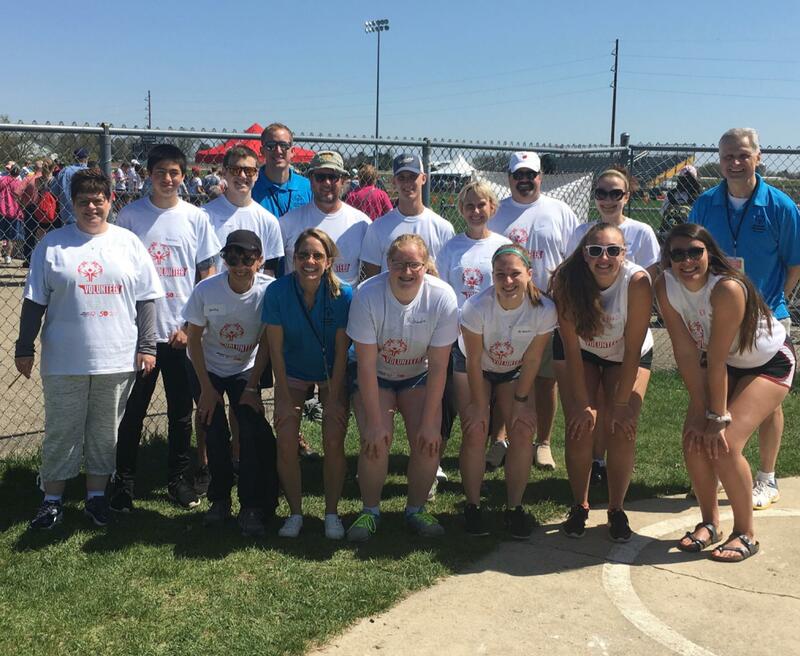 Mike Kafka, Ericka Braatz, Betsy Nordstrom and friend Darcy and the crew at the shot put event of the Special Olympics on May 4 at Oregon High School field. Many thanks to Betsy Nordstrom who quickly arranged a fantastic evening at Craftsman Table and Tap after Sprecher’s suddenly closed. Thanks also to the sponsors and donors of the raffle gifts and to all the club members who arranged for the raffle gifts and certificates and worked at the event. On February 19, Bea delighted the club with pictures of her family and the beautiful country of Brazil. Bea lives with her mother and stepfather and younger brother. Bea’s older brother is 16 and lives with her Dad. Bea, who is interested in theater and ballet, particiated in a performance of the Nutcracker. Brazil, the largest country in South America, is divided into seven counties, and Portuguese is spoken in all. The Brazilian money has coins, on which the blind can tell the value by the feel. Among the favorite foods are black beans with pork, Brazilian barbecue, and cheese bread. The North County is the biggest region in Brazil and has a well known Festival. The North East is the birthplace of Brazil. The South East has the highest population including Sao Paulo and Rio de Janeiro and the famous Christ the Redeemer statue, one of the Seven Wonders of the World. The South is the major tourist attraction and has the highest standard of living, but is the coldest. Mato Grosso is the Midwest region. 63% of this area is preserved. Agribusiness is big, especially soybeans and corn, also fresh water fish, and beef, also diamonds. 59 indigenous tribes live in this state. Bea’s family lives in Mato Grosso. She enjoys taking part in the dances in the city. A favorite candy is brigadeiros, which Bea passed around to club members. Our thanks to Bea for her presentation and for spending her year with us in Wisconsin. Please plan to see our Rotary Youth Exchange student Bea in the Madison-area premiere of “Girls Like That”. The play starts at 7:30 p.m. this Thursday through Saturday at the Middleton Performing Arts Center. Due to strong language and mature themes, the show is recommended for youth ages 13 and above and their parents. See the article below from today's Wisconsin State Journal for more info. 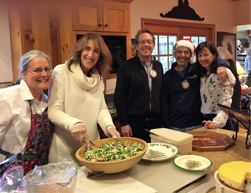 Thank you to Betsy and Doug Nordstrom for opening their house for the Think Rotary Shop Locally fundraiser for our youth and literacy programs on December 1st. It was an elegant affair with the café lunch, and an incredible display of holiday goodies for sale. 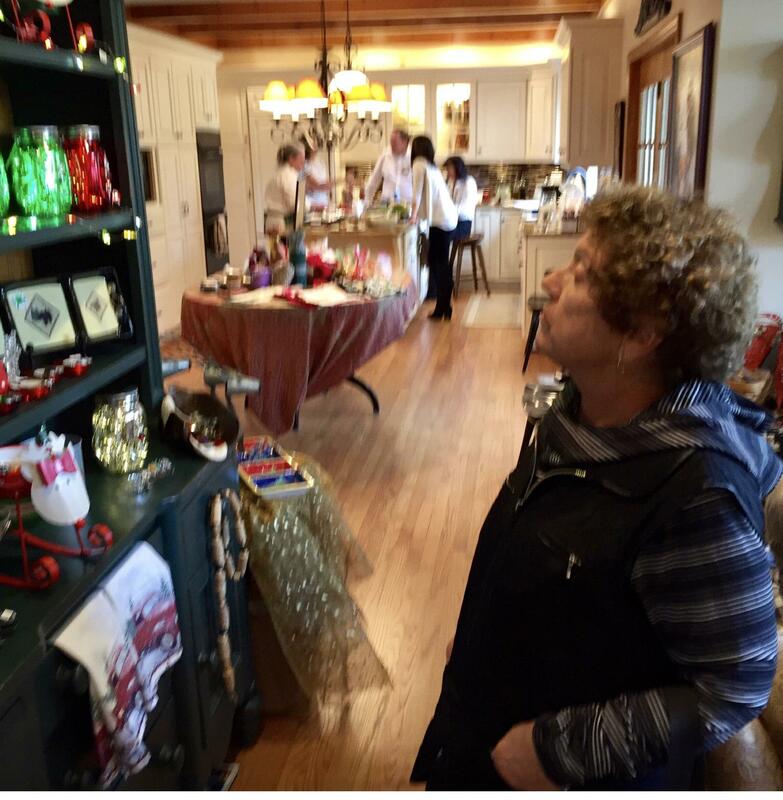 Vendors displayed jewelry, table ware, art work, and clothes throughout the house. On whose lands do we live?, Aaron Bird Bear, Assistant Dean for Diversity Programs at the UW-Madison School of Education, and the guest speaker on September 18 asked. Picnic Point was an oak savannah and marshland, when the Indians inhabited the area. Village sites dotted the lakeshore, now the lakeshore nature preserve. Waaksikhomek, the word for the Indian Mounds, means “Where the Man Lies.” Teejop means Four Lakes. The Betling Goose figure can be seen on earth works on the campus near the Dejope residential hall. The hall features 11 of the American Indian Nations of Wisconsin. Wisconsin and UW-Madison are 1.4% of the human story and 98.6% of our story occurred before US citizens occupied the land. The Menominee have been in Wisconsin forever, the HoChunk moved here. Aaron Bird works with Native American students on graduate retention. Less than 400 native Indians study on campus. 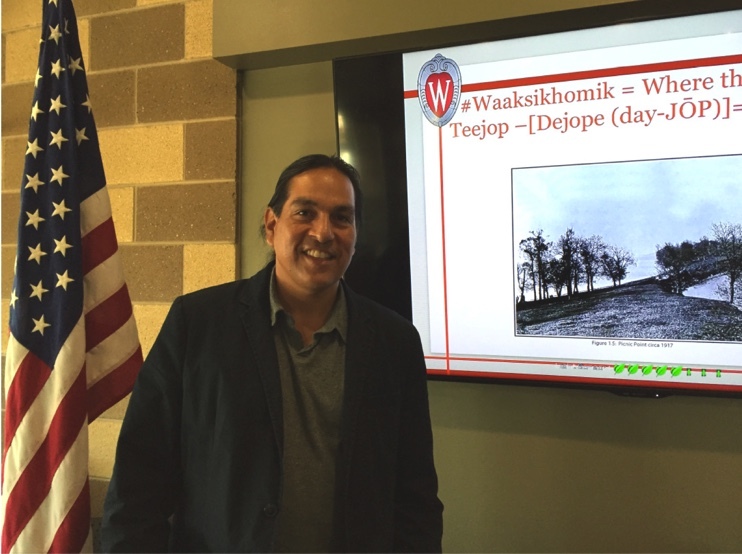 Our thanks to Aaron Bird Bear for his fascinating presentation and for his wonderful work on the UW-Madison campus. 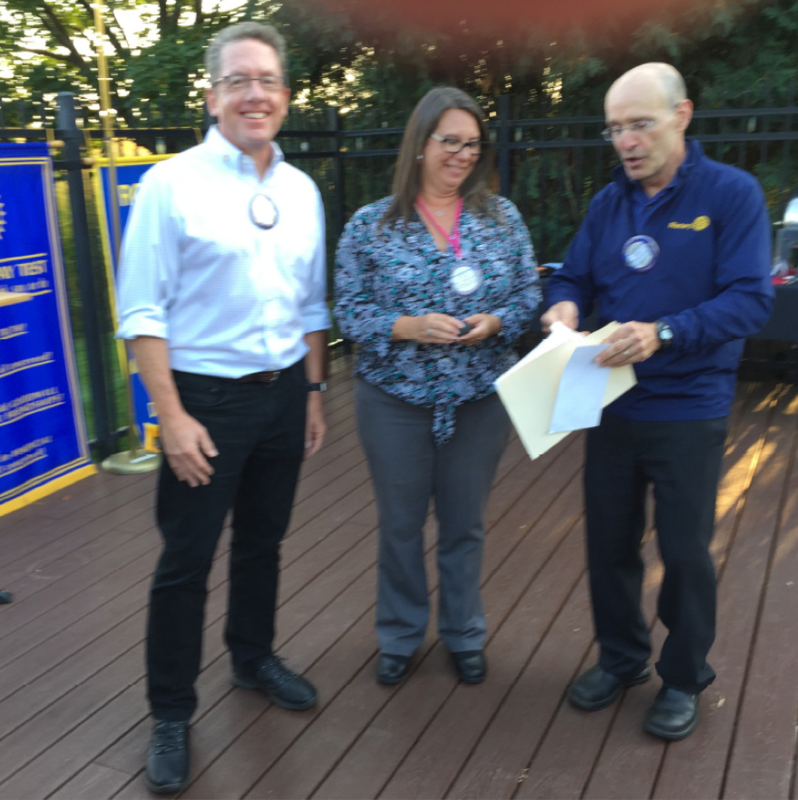 Heather Dyer received the Rotarian of the Year award at the September 11 reception at Sprecher’s. Doug Nordstrom and Thom Weiss, past recipients of the award, presented Heather with the award and a Paul Harris fellowship for her incredible organizational skills as club president. 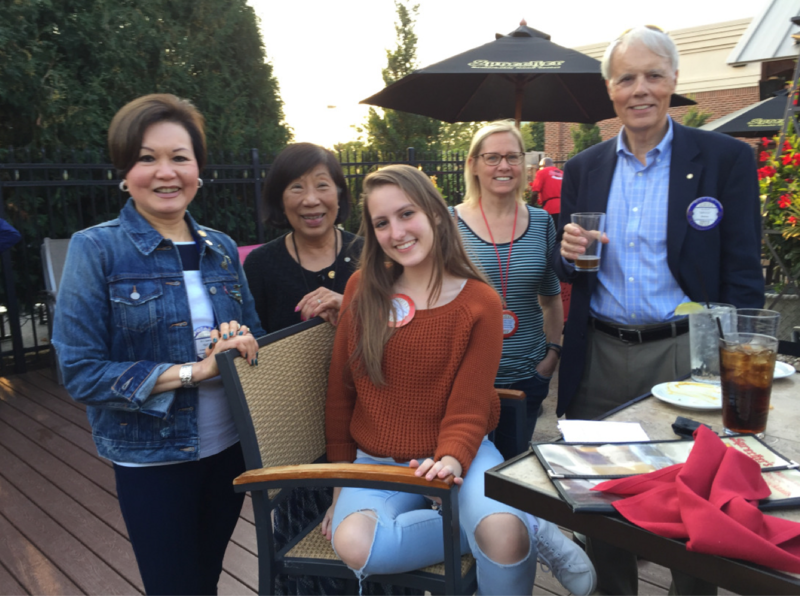 Club members gathered at Sprecher’s on September 11 for the Rotarian of the Year award, and to introduce Bea, the club’s 2017-18 exchange student from Brazil, and the newest members of the club Erin Hastey and Kevin Frost. The event was organized by Betsy Nordstrom with her fantastic arrangement skills. Fe’ Semira, Eng Braun, Bea from Brazil, Stephanie Stetson, and Bruce Harville at Sprecher’s on September 11. Bruce Harville, Betsy and Doug Nordstrom, Stephanie Stetson, and Steve Schwerbel. Zoe and Joan Tillett, Bea’s host family, Erin & Rafeal Hastey, Jerry Thain and Eng Braun. Scholarship, truth, and cheese – the Wisconsin Idea is the intersection of the university and government using each to build up and support the other for the greater good. It sounds a lot like the four-way test. Thanks to Gwen Drury, the UW-Madison Speakers Bureau Coordinator for her talk on August 21. 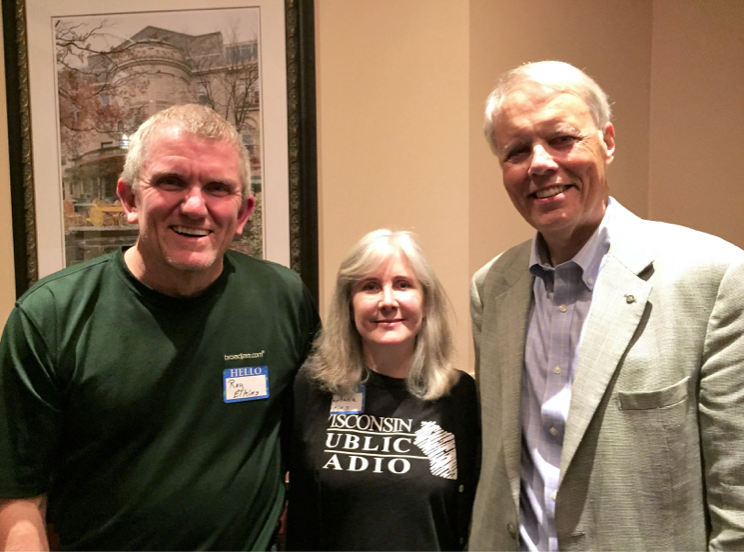 Bruce Harville, August 21 speaker Gwen Drury, and Will Clifton. On August 14, club members enjoyed a visit to the club of Stephan Elkins of Wisconsin Public Radio. She was accompanied by her husband, Roy Elkins. 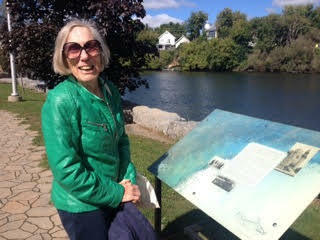 Wisconsin invented public radio, Stephanie told the group. Wisconsin in the 1920’s was agrarian and the first broadcast started with weather and prices for farming. In 1954, TV was born and WPT began to broadcast. Classical music was the popular music of the day. In 1967, the Public Broadcasting Act was passed. It set aside money for public broadcasting, regulated by the government, for free, independent and accessible programming. Today, WPR has 36 stations, 500,000 listeners per week and 52,000 members. Today, Stephanie hosts “Morning Classics” on WPR from 9 to 11 am and has previously hosted “Simply Folk” and “The Midday.” Chapter a Day is the longest running book reading program on air and Sesame Street is the most popular program. WPR has a library of 35,000 CDs. Wisconsin Public Radio was the start of the Wisconsin Idea. Our thanks to Stephanie Elkins for her presentation and her wonderful voice and programming on WPR. District Governor Joe Ruskey urged club members on August 7, to tell the story of Rotary, which has 1.2 million members in over 200 countries. The Rotary Foundation is one of 5 foundations in the world where 95 cents on the dollar goes to programs. In 1985, when the polio eradication effort was started, there were 350,000 cases of polio annually. So far in 2017 we are down to only 8 cases. Rotary has a masters program at the 6 top universities in the world, where peace and conflict resolution are taught. Joe owned an IT firm in Chicago and joined Rotary when he moved to Prairie du Chien. 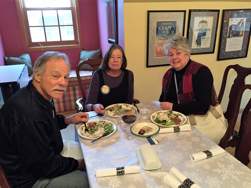 He met leaders of the community and became President of the Prairie du Chien Rotary club. He then became Foundation Chair and then Assistant District Governor. He urged club members to attend the Tri-Conference at the Wilderness Resort on May 4-6 in 2018. Pictured below are District Governor Joe Ruskey and his wife Tina along with Assistant District Governor John Locke and MBR Club President Heather Dyer. Project Home Paint-a-Thon team including members of Madison Breakfast Rotary and Madison Horizons Rotary. Madison Breakfast team members included Doug and Betsy Nordstrom, Bruce Harville, Stephanie and Steve Stetson, Judy and Vic Levine, and Steve Schwerbel. Remitts: Janet Tupy. Remitts benefits local food pantries. Started in 2008, they make mittens from old sweaters, boiled to felt-like material. They raised $3900 the first year and $50,000 last year. 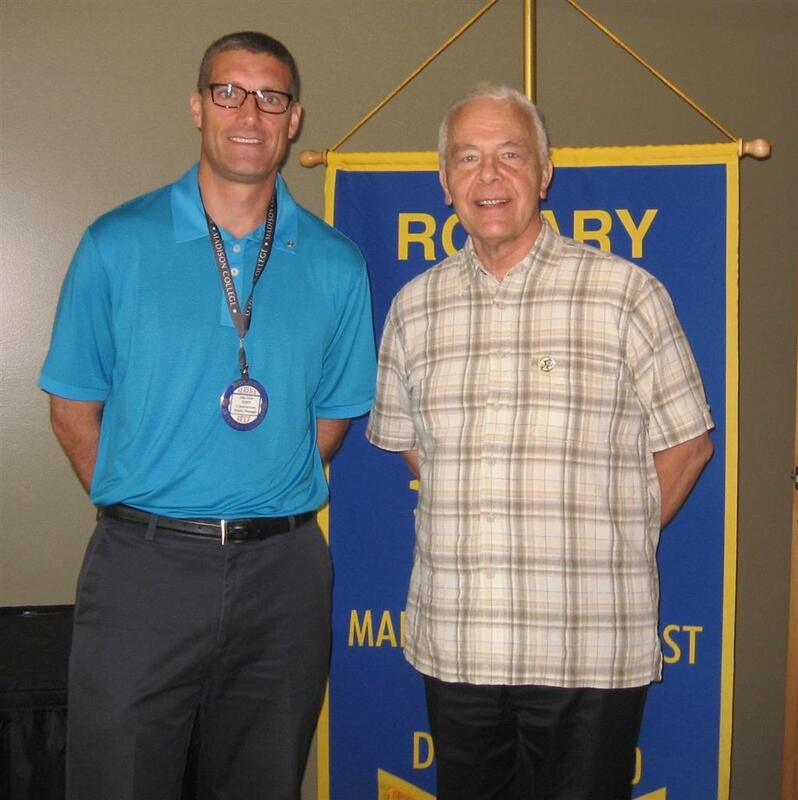 Rubin for Kids: Randy Sproule from Madison South Rotary. Rubin for Kids provides funds for scholarships for students with significant needs. The scholarships are for MATC programs, either general studies or technical programs. Students receive $1,000 each year for two years. All recipients are the first in their family to attend college. Box of Balloons: Sarah Wells. Groups pack a birthday party box with cupcakes, gifts, and balloons to deliver to homes for parents to create a party. They plan to give 250 empty boxes this year for companies and individuals to fill. 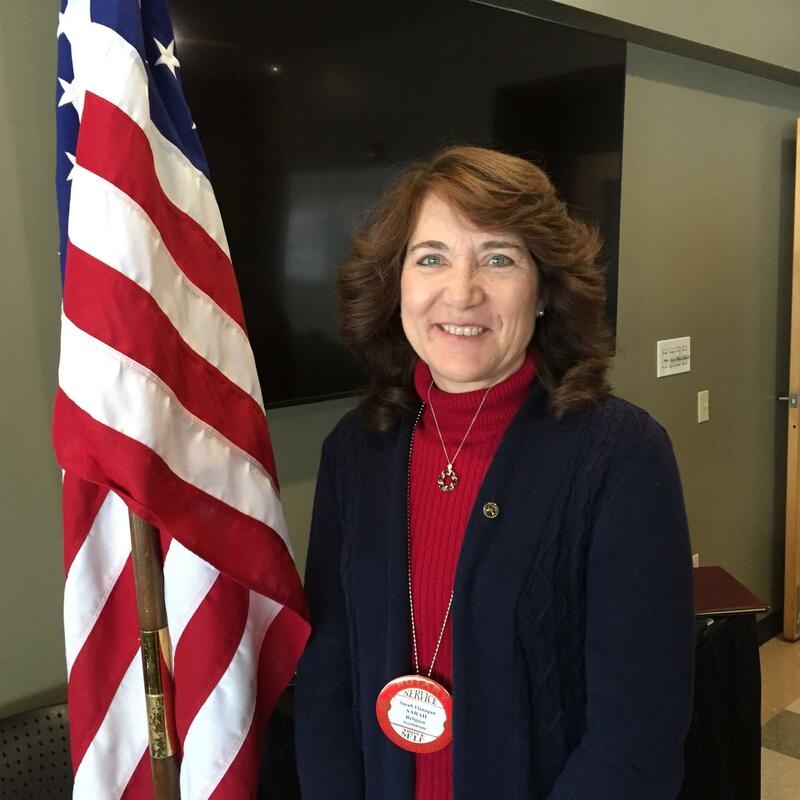 Middleton Outreach Ministry: Patricia Eldres. They serve Middleton, Madison, and the Cross Plains area with food and provide small grants to help prevent evictions. The award will be used for a new, oral health project providing kids with an electric toothbrush, paste, and instruction. A dentist will give free exams. Madison Ice Arena: Andrea Chafee. The organization owns and operates two ice arenas. One has been modified to meet requirements for adaptive skating. The funds will be used for replacement ice skates for the adaptive programs. Kids will be able to take the Learn to Skate program, Sled Hockey program or Special Hockey programs. Boys and Girls Club of Dane County: Karen Gallagher. Founded in 1999, they serve 6,000 children in afterschool programs, including tutoring, recreation, and incentives and training to encourage college with the TOPS program. The awarded funds will go toward the summer program. Books for the World: Thom Weiss. This year, four semi-loads of books were sent to Houston and more will be sent before the year’s end. Twenty Rotary clubs participated in various ways. They are happy to contribute books to local groups as they do now with MOM. A huge thank you to the Rotary Club of Waunakee! Rotary Club of Waunakee donates $700 to the Wisconsin Books for the World Project. Bob Pulvermacher presents check to Thom Weiss. Thank you Rotary Club of Waunakee! With your help, the story of thousands of books doesn’t have to end in a landfill. 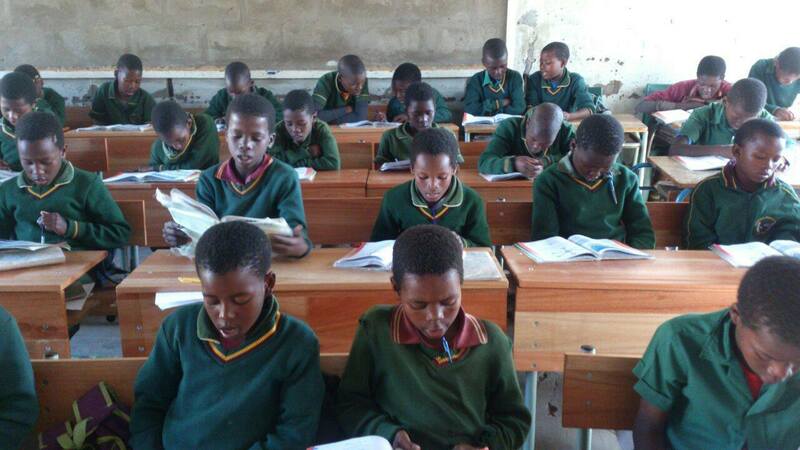 We’re aiming to give textbooks and library books a second life by sending them to kids overseas. 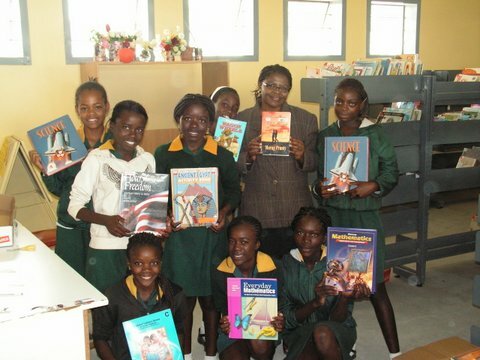 Wisconsin Books for the World supports global literacy and education by collecting used school and library books throughout the state and sending them to developing countries. 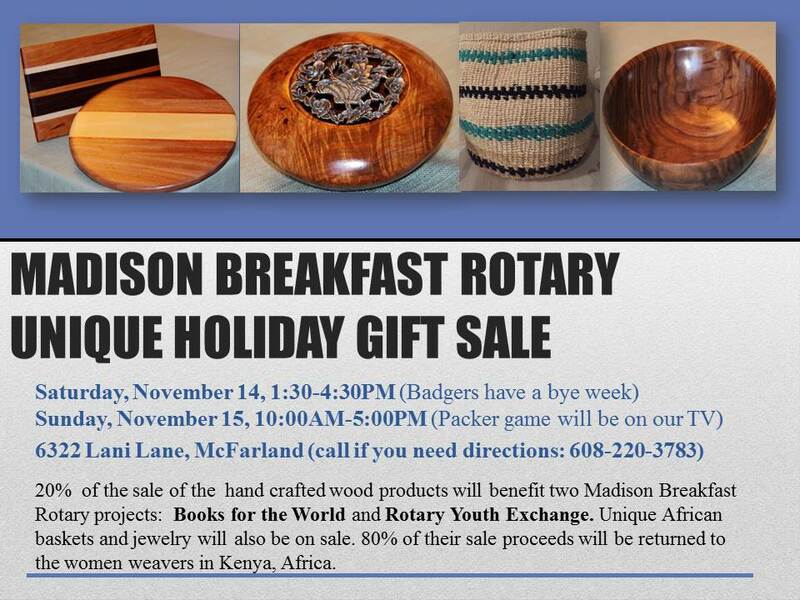 Books for the World is coordinated by the Madison Breakfast Rotary Club. This is the final week in our month-long campaign to raise $5,000, enough to ship two truckloads of books and give them a new home. We need your help to get across the finish line! A $15 contribution is enough to ship 5 boxes of books, so each dollar counts. Please click below to donate! 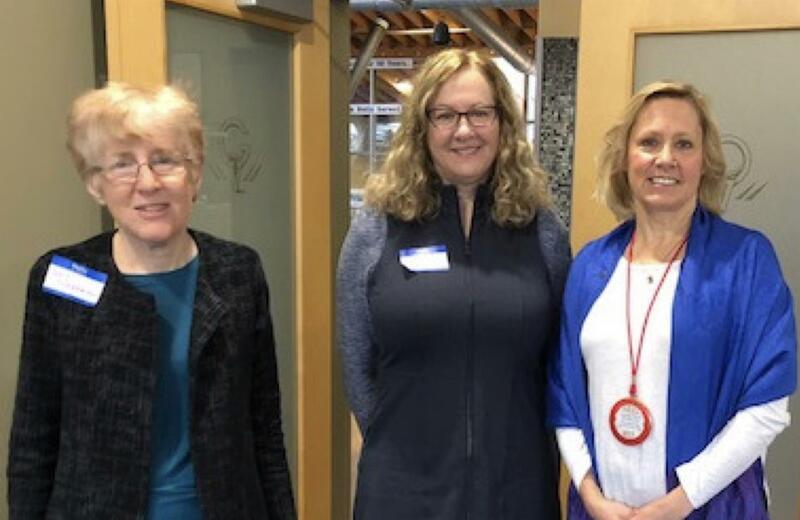 The Books for the World project provides Rotarians & the community an opportunity to connect for a cause. 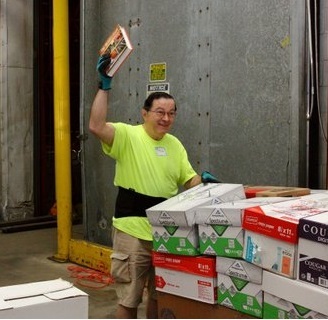 Since Books for the World began in 2000, Rotary clubs from across the country have shipped thousands of tons of used textbooks that would have otherwise been discarded to 25 countries in southern Africa, Central and South America, India, Afghanistan, and Pakistan. Now, we need your help. We’re so lucky to have local schools that have generously donated books and volunteers willing to prepare them to be shipped, but getting the books overseas is an expensive endeavor. We are half way into our campaign to raise enough money to ship two truck-loads of books. We need your help to meet our goal of $5000. Share your love of reading with budding book-lovers across the globe! If you have already donated, thank you very much. If you have not, please consider donating what you can. Our goal is to reach $5000 so we can send two truck loads of books. Click below to donate! A $15 contribution is enough to ship 5 boxes of books, so each dollar counts. Not all kids go to schools that are able to provide the books they need to learn. Teachers in some areas don’t have the resources they need for their students, but thanks to the generosity of local educators who donate books, we have the power to help. Over the next 4 weeks, we have a goal to raise $5,000, the cost of shipping two truckloads of textbooks. Please click below to donate. Send a student the tools they need to promote the love of learning! 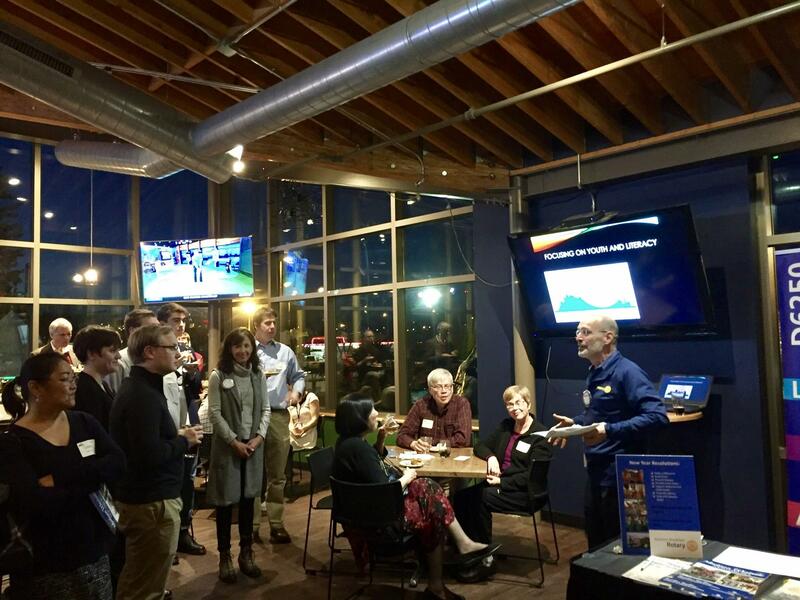 On February 20, Madison Breakfast Rotary held a Rotary Informational Party at 5:30 pm at Vitense Golfland. Members, perspective members, and friends enjoyed a lively meeting. 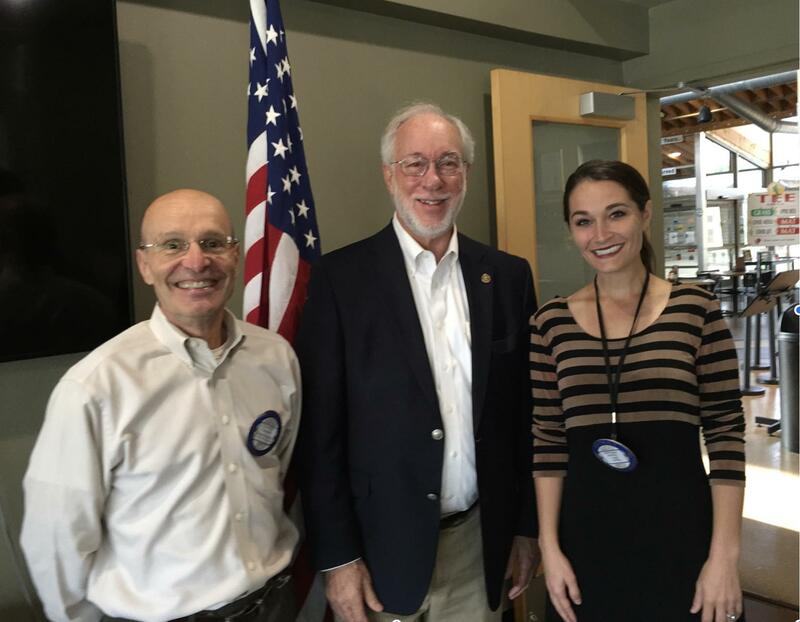 President Thom Weiss, who is also the coordinator of the club’s Rotary Books for the World project, gave an inspiring talk about the many facets of Rotary. Franci, from Italy, Sari from Finland, and Daniel, 2017-18 outbound exchange student to Denmark. 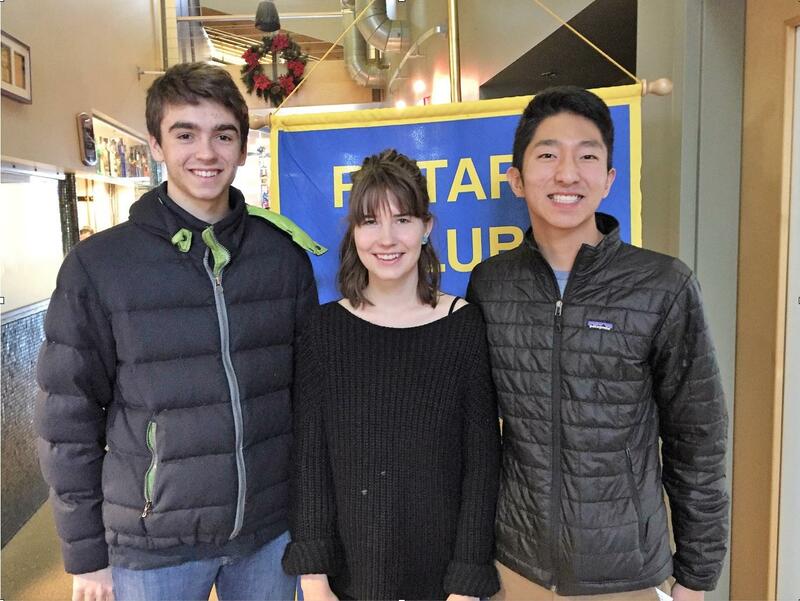 The club enjoyed a visit on January 9 from Sari, our 2014-15 exchange student from Finland, Franci, our current exchange student from Italy, and Daniel, our 2017-18 outbound change student going to Denmark. Sari graduated from high school last spring and has started at the University of Helsinki, majoring in psychology. Right after high school, she traveled to nine countries. She currently lives with a friend from high school. Franci went to Ohio with his host family Brenda and Thom Weiss for Christmas. He practices basketball every day and has games three times a week. He calls his family every Sunday morning. 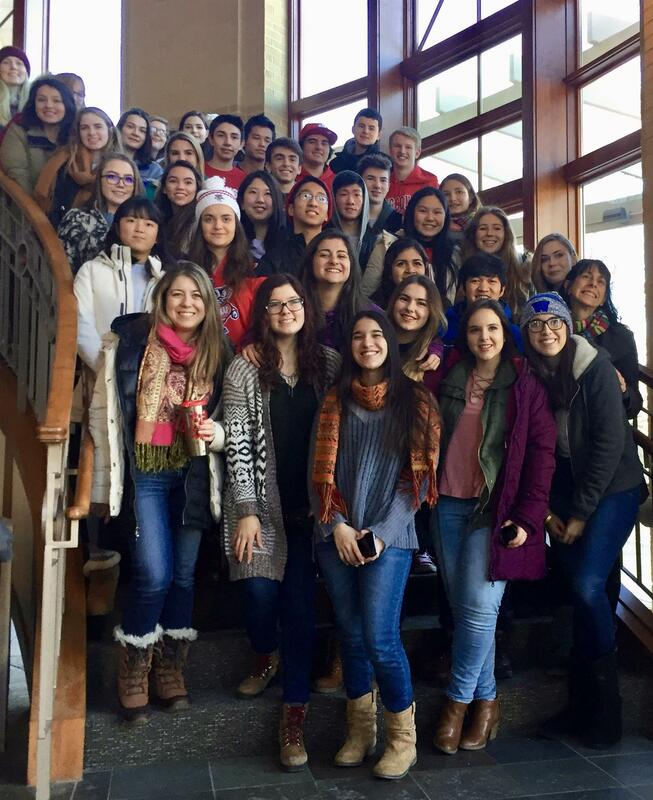 Franci went on the hockey weekend with the exchange students. It was the first time he had seen hockey. Daniel, an Eagle Scout and a member of the National Honor Society plays soccer. As a senior in high school, he has been applying to colleges. His older brother and sister each went on two exchanges. He recently met a kid from Denmark and practices his Danish. For his Eagle Scout project, he created a gravel pathway and garden in an Elementary School. 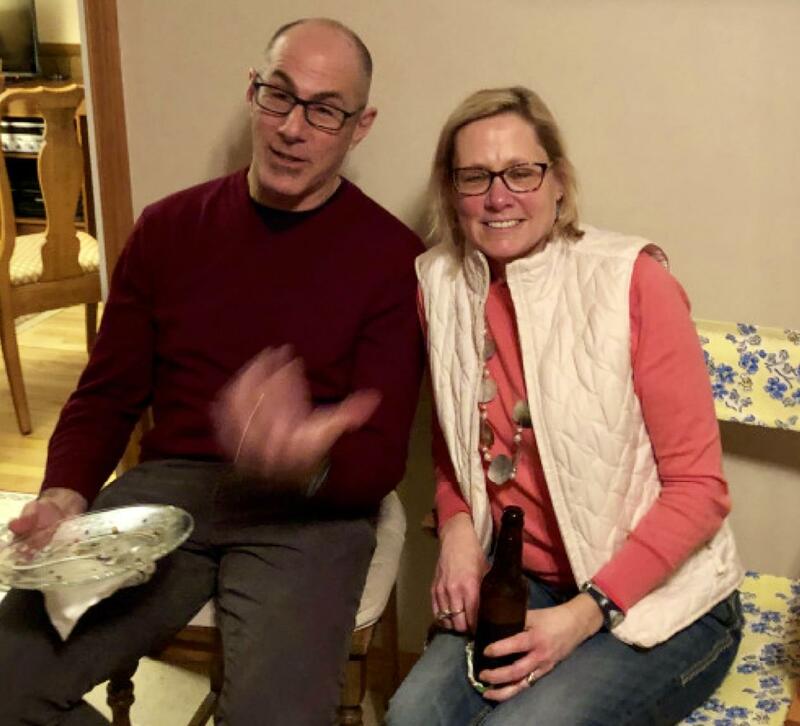 Thank you to Betsy and Doug Nordstrom for opening their house for the Think Rotary Shop Locally fundraiser for our youth and literacy programs on December 2. It was an elegant affair with the café lunch, and an incredible display of holiday goodies for sale. Vendors displayed jewelry, table ware, art work, and clothes throughout the house. Club members and friends helping out included Fe’ Semira, Eng Braun, Krissa Hinzman, Judy Levine, Thom Weiss, Monica Tuite, and many others. Welcome to the MBR Exchange Student for 2016-17 -- Franci from Italy!! Project Home Paint-a-Thon team including members of Madison Breakfast Rotary, Madison Rotary After Hours, and the Do Gooders. Madison Breakfast team members included Doug and Betsy Nordstrom, Bruce Harville, Mike Kafka, AJ Ernst, and Fé Cruz Semira. Betsy Nordstrom announced that the Food and Beer Pairing fundraiser at Sprecher’s on April 7 raised $6500 for the club’s youth and literacy programs. Thanks to all who contributed raffle gifts and worked on the event. Judy Levine handled the raffle table and Steve Schwerbel the marketing. Betsy Nordstrom spearheaded the event, Doug Nordstrom handled the event registration and money, and Krissa Hinzman coordinated the exchange students. Thom Weiss, Fe’ Semira, and Eng Braun also worked on the event as did many club members who took turns at the registration table. On December 21, the club voted for the following officers effective July 1, 2016. Sara Flannagan, newest member of the club. She is also the mother of Mason, our exchange student to Thailand. 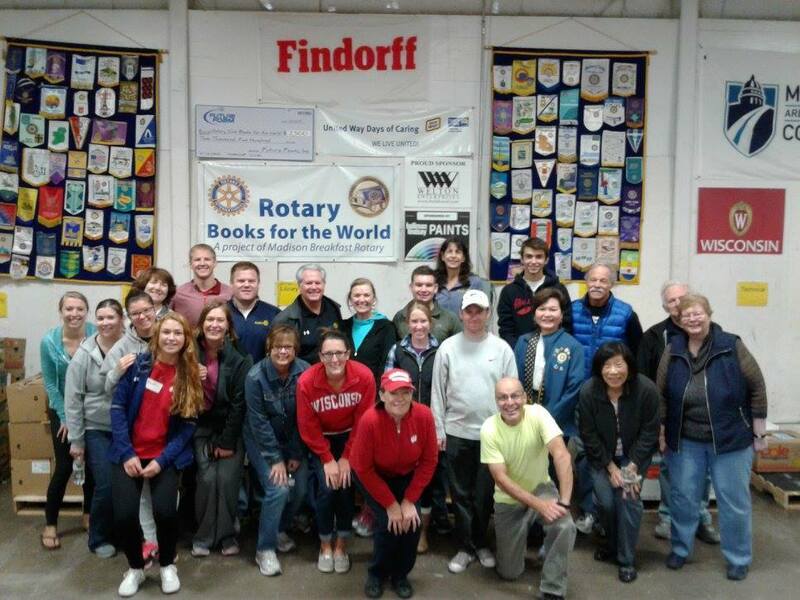 On Saturday, November 14, nine Rotary clubs from Dane County helped sort and pack educational materials for the Rotary-supervised Books for the World program. 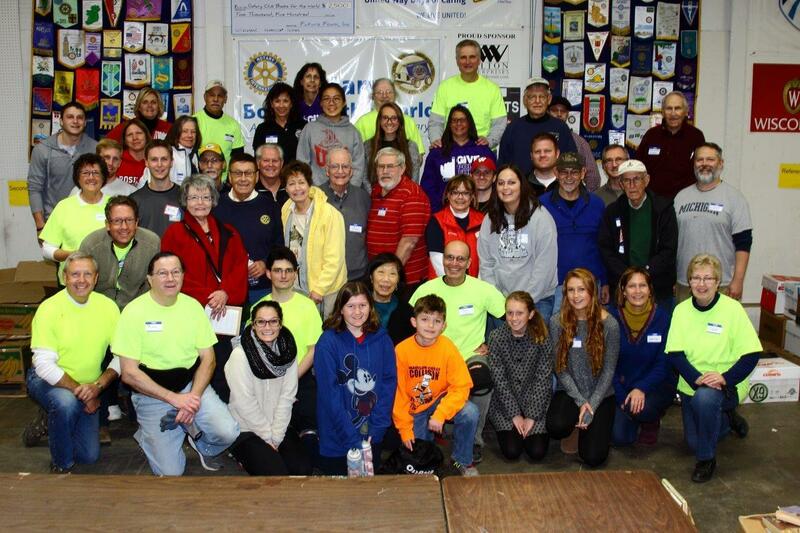 Over 50 Rotarians from the Madison Breakfast, After Hours, Waunakee, Madison East-Monona, Fitchburg-Verona, Reedsburg, DeForest, Sun Prairie, and West Towne-Middleton clubs packed more than 15 tons (9 pallets) of school and library books. The pallets of books will soon be shipped to Houston, Texas, and Rotarians there will load them into sea containers destined for schools in over 25 countries where students are taught in English. These resources, donated by schools and libraries across Wisconsin, will be used by students in these countries for an additional 5 to 8 years. The Wisconsin Operation, which has been supervised by Madison Breakfast Rotary since 2005, is the second largest Books for the World processing site in the USA (Texas being the largest). Since the Wisconsin program began, the club has also shipped school desks (more than 1,000), classroom tables, and library shelves. The sea containers, which are purchased by the Houston-area Rotary clubs, remain with the schools to be converted to teaching space and health clinics. New member Steve Schwerbel is congratulated and presented with a red badge by Club President AJ Ernst on October 19. At the September 2 club gathering at Sprecher’s Restaurant, Doug Nordstrom presented Thom Weiss with the Rotarian of the Year award. Thom has worked tirelessly after taking over the operation of the Rotary Books for the World from the Dombroski's two years ago. 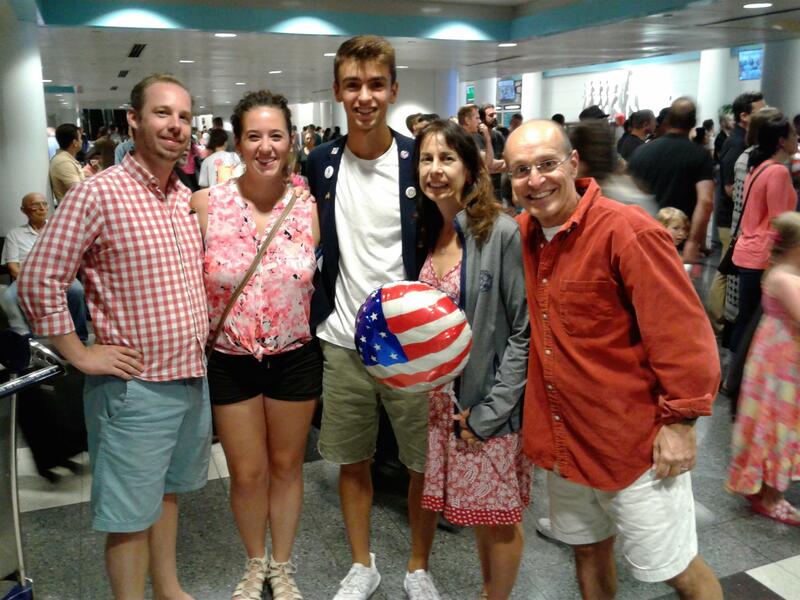 Thom and his wife Brenda have hosted exchange students in their home every year for more than ten years, most recently a summer student from Spain. Thom has had a major role in the paint-a-thons for a number of years with his wife Brenda. In addition to serving on the board of directors, the club has enjoyed his enthusiasm and wit as a sergeant at arms at club meetings. Congratulations to Thom Weiss. New RYE Student Arrives in Madison!! 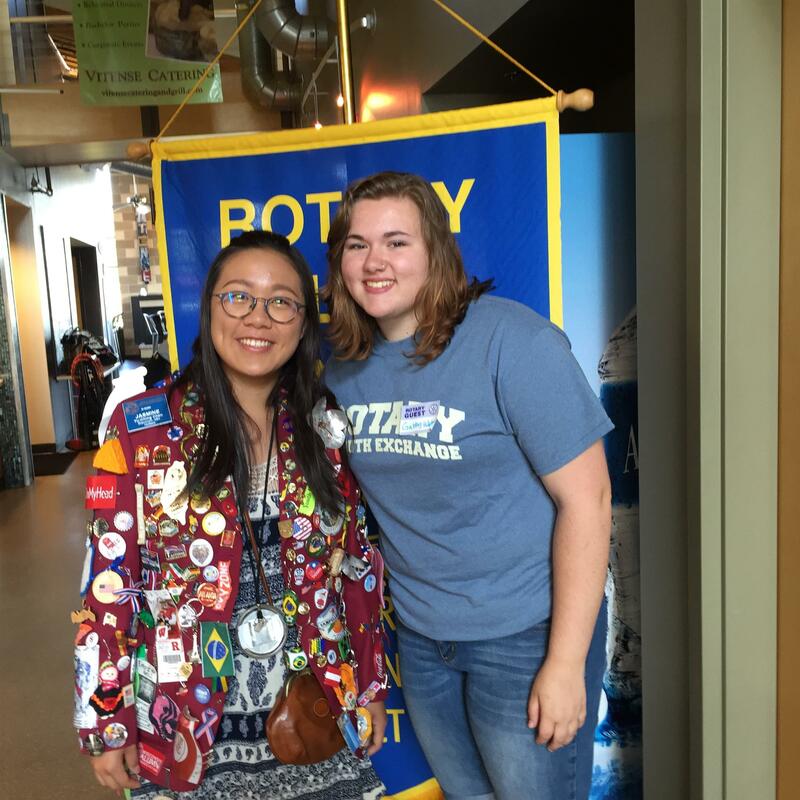 Jasmine from Taiwan will be hosted by Madison Breakfast Rotary for the 2015-16 year. At the June 22 club meeting, Bruce Harville, president of the club’s foundation, announced this year’s five awards. The recipients were Reach Out and Read, Books Are Power, Madison Ice. Inc. Boys and Girls Club of Dane County, Millennium Soccer Club and Books for the World. Ruth Sias attended the meeting, representing Reach Out and Read; Gary Muldoon, represented Books Are Power. Jack Connelly accepted for the Millennium Soccer Club, and Bob and Carol Dombroski accepted for Books for the World, since Thom Weiss was away. 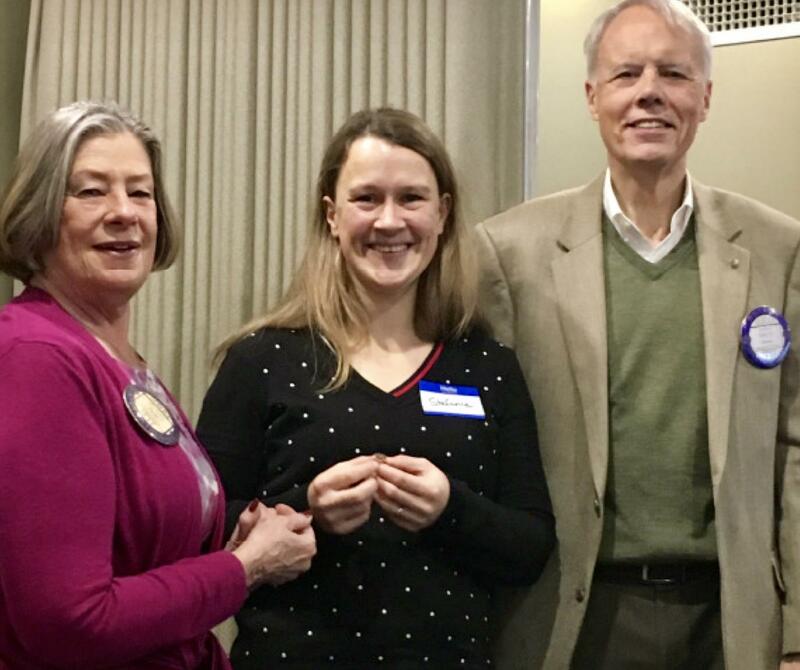 Acting Program Chair, Dean McHugh, reported that the Madison Breakfast Rotary ranks second among about 60 Rotary clubs in District 6250 for per capita giving. Madison Breakfast members donated $3,520 topping the club goal by more than 176% with per capita giving of $153. Congratulations to all of our members for exceeding this important goal and special thanks to our Rotary Foundation Chair, Helen Baldwin for an outstanding job. 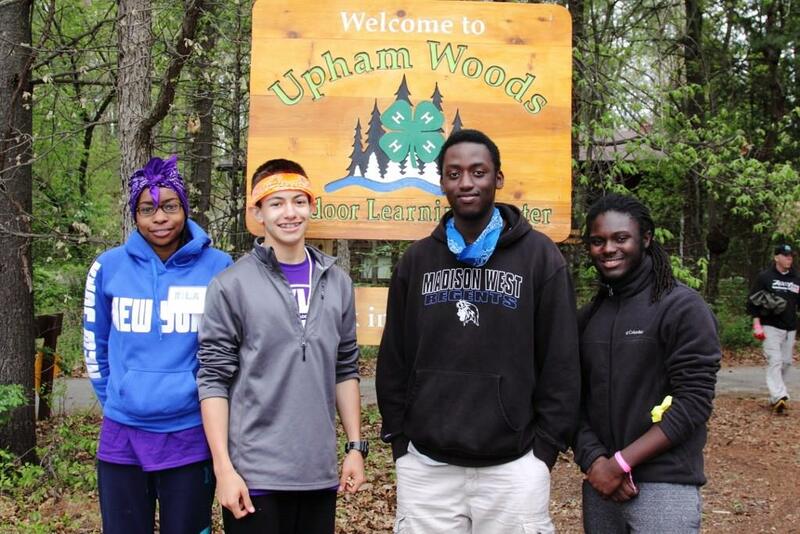 RYLA students had a great time at camp this year!! Thom Weiss received an Outstanding Service Award from the Books for the World CEO Charlie Clemmons. The award was presented at the Summit IV in Houston, Texas on January 12 and recognizes Madison Breakfast Rotary's significant contribution to the success of this international literacy program. 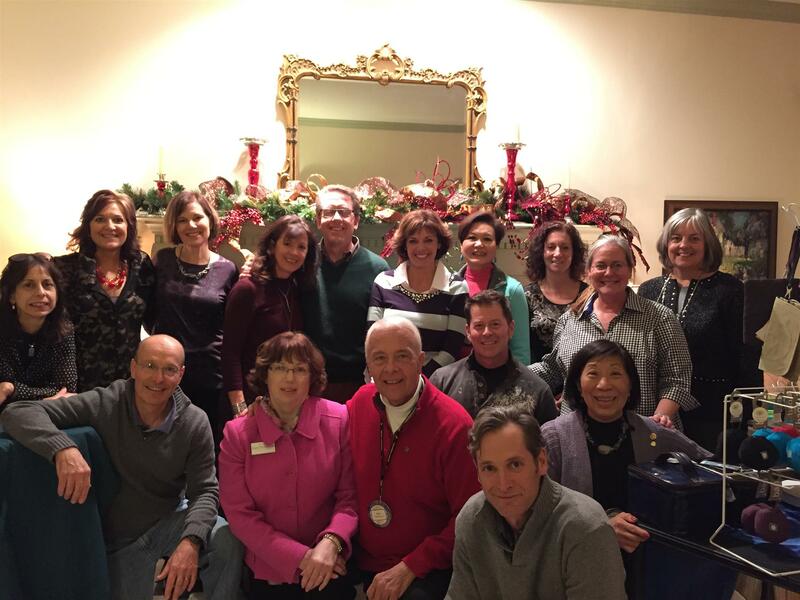 A big thank you to Doug and Betsy Nordstrom for opening their home for the November 21 club fundraiser. Thanks especially go to Monica Tuite, who prepared the food for the holiday café and members and friends who contributed items for the spectacular bake sale. 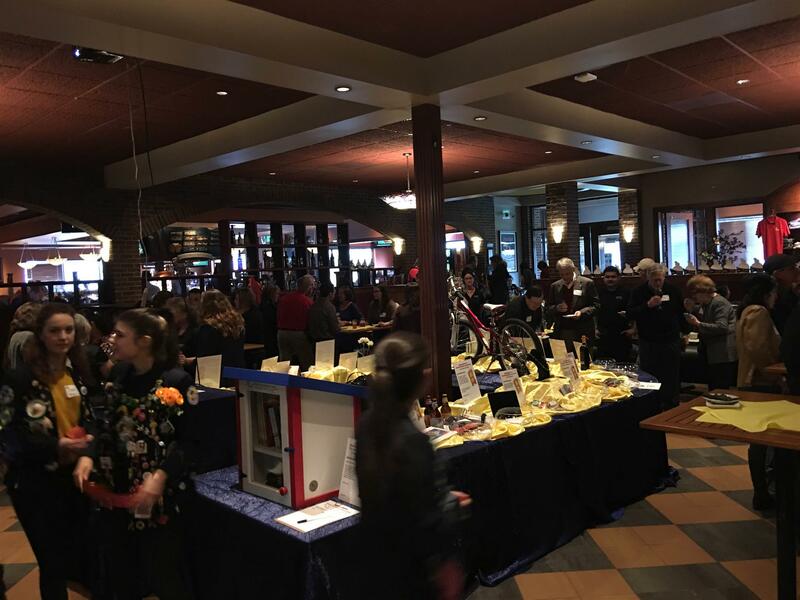 Thanks also to the vendors who donated 20 percent of their sales to the youth exchange and to the members and friends who purchased items from the vendors and the bake sale. The vendors included Baginspirations, Embellishments, Partyville, Totally Wired and the holiday decorations by Surroundings. On September 27, Madison Breakfast Rotary reached a milestone of two million pounds of books collected for the Books for the World program. Doug Nordstrom was honored as Rotarian of the Year at the club gathering at Sprecher’s on Sunday, August 24 for his outstanding work as the club’s webmaster. Doug has made the club’s website relevant, interesting, easy to navigate, and functional. In the case of our club, the first thing visitors see when coming to our website is how engaged the club is – with the community (local and global) and in the projects we undertake, with the youth through our exchange programs, and with out partnerships with businesses and non-Rotarians, at the same time having fun through our fundraising and social activities. 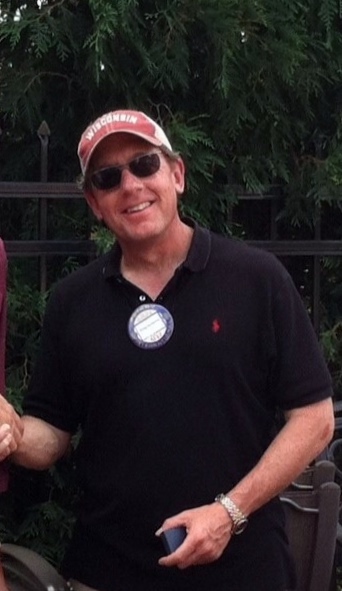 Doug has served as president, president elect, and past president for our cub. He has served on the executive board at least two extra years. As a member of the fundraising committee, he handles the finances and much of the behind the scenes set up. He also does a lot to keep the youth exchange running smoothly and is a generous financial donor to that program. 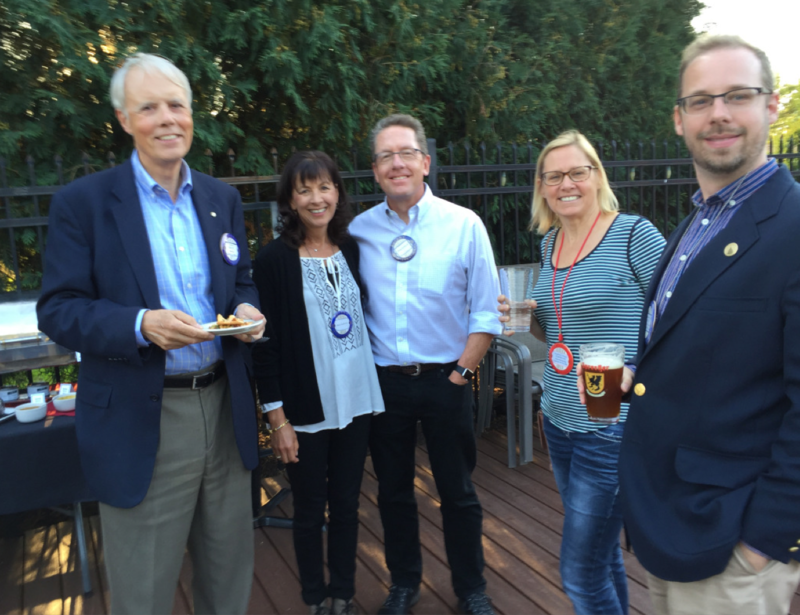 Doug Nordstrom has been a Rotarian since July 1995 when he was a charter member of the Middleton Sunrise club. He served as president of that club three times and was very involved with that club’s community events and their youth exchange program. The club congratulates Doug Nordstrom and thanks him for his service. Bruce Harville presented Priscilla Thain with a Certificate of Appreciation for her many years of service to the club. Priscilla, a member for over 15 years and past president, has been the newsletter editor for many years. She faithfully provides the club with the weekly newsletter as well as an inspiration message on Monday mornings. Judy Levine, Betsy Nordstrom with Xaver and host family. 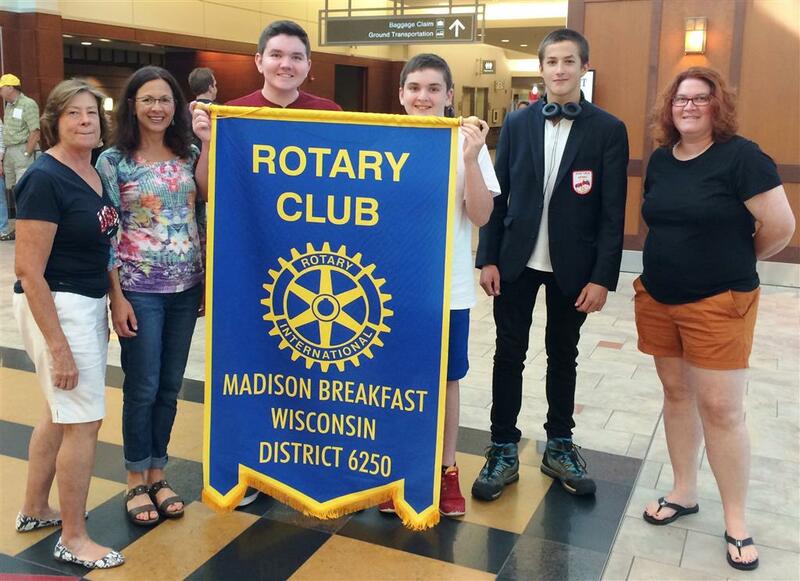 Xaver from Austria will be hosted by Madison Breakfast Rotary for the 2014-15 year. 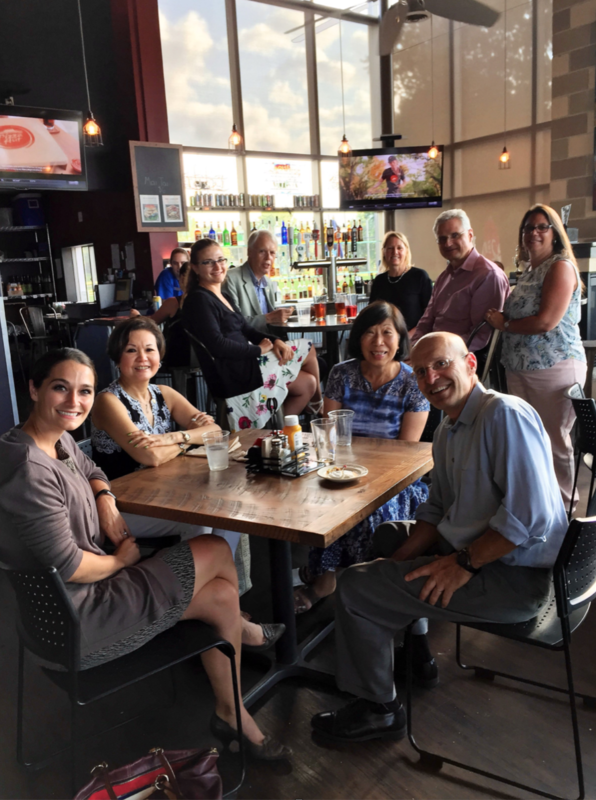 Club members and their families are invited to gather at Sprecher’s on Sunday August 24 starting at 3 p.m., to welcome our incoming exchange student and new and old host families, celebrate the incoming and outgoing board of directors, and honor the recipient of the Rotarian of the Year Award. Please invite friends who might be interested in joining the club. Hosted appetizers and soft drinks provided. Cash bar available. Please RSVP to Betsy at bnordstrom@tds.net or (608)695-7847. 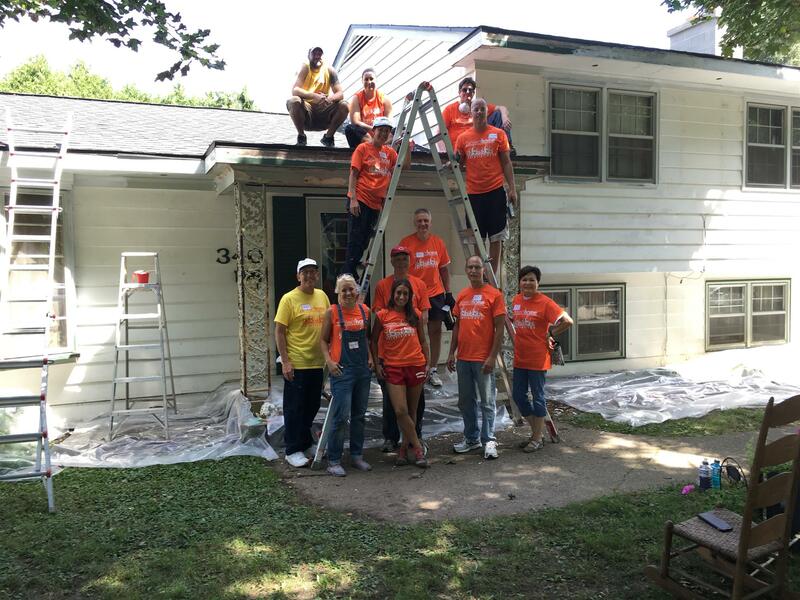 Madison Breakfast Rotary teamed up with the After Hours Rotary for the August 2 Paint-a-thon, a program of Project Home. 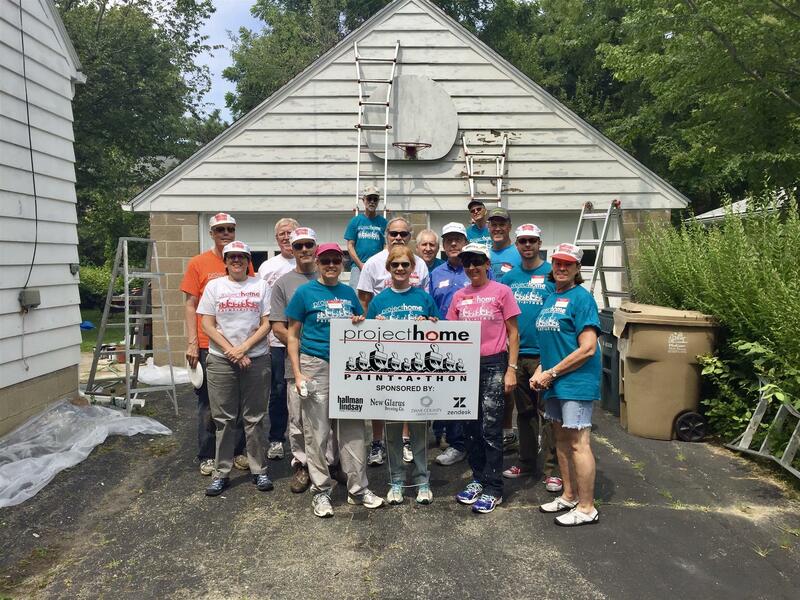 Brenda Weiss coordinated the project where volunteers from both clubs painted the exterior home of a family on Toban Drive. Hallman Lindsay Paint Company provided the paint and the Manna Café provided lunch for the painters. Project Home paints 8 to 12 homes in Dane County every year. 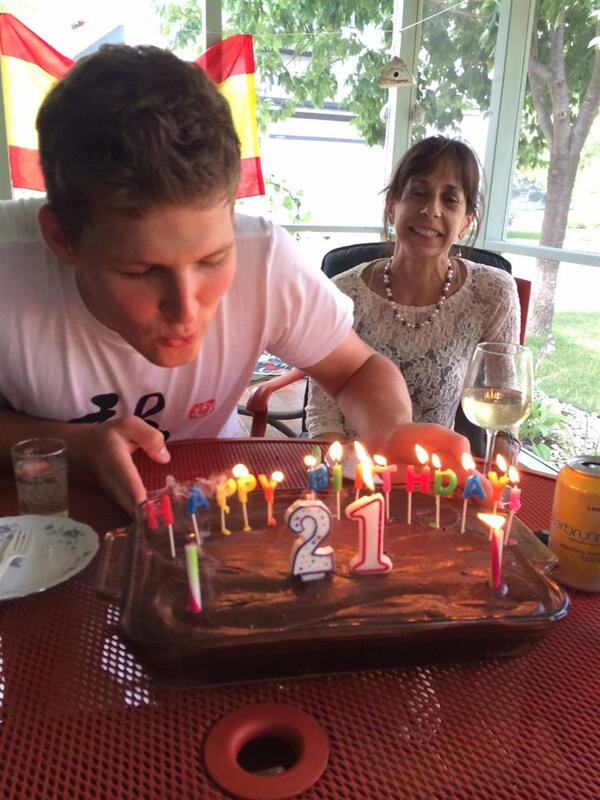 Club members gathered at the home of Thom and Brenda Weiss on Sunday August 3 for a cookout and birthday cake, to say farewell to Tomas, our exchange student from the Czech Republic from a couple of years ago. Tomas visited Madison for a month and stayed with the Weisses. 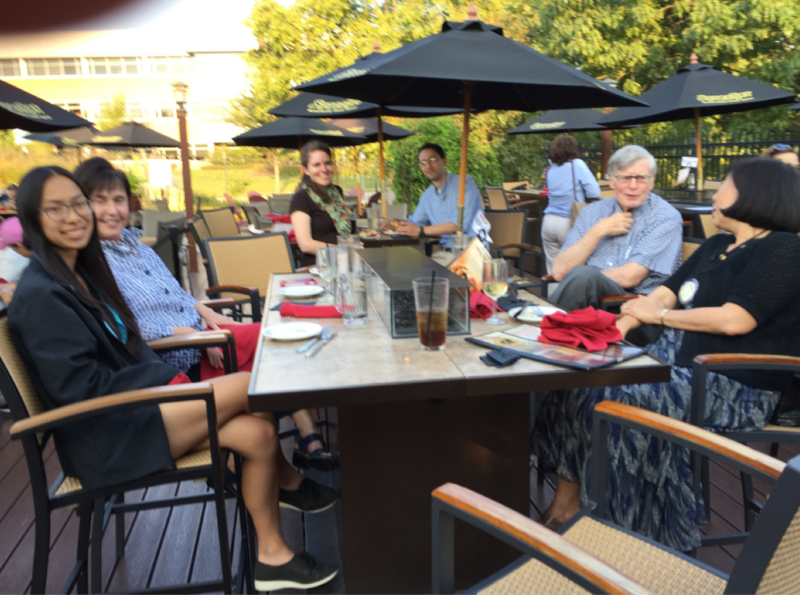 Tomas had offered to do chores for club members and did some gardening with Helen Baldwin on Monday July 21and cooked an Asian dinner and a pie with Eng and Bill Braun on Sunday, July 27. Club members were invited. Tomas had spoken to the club on July 28 when he showed slides of Prague, where he has started at Medical School, right out of high school. In the Czech Republic, he has joined Rotex, for former outbounds and also Roteract which supports an orphanage. and where they will start teaching English. Bruce Harville presented a red badge to Lori Scroggs as she was inducted into Madison Breakfast Rotary on July 14. The club thanks John Feller for an outstanding year as club president. John started the year with a tour of the newly updated campus of the Madison College Truax campus by his firm J. H. Findorff and Sons. He presided over excellent programs each week, service projects, fundraising events, an increase in membership, and the inbound and outbound exchange programs. In particular, the club is appreciative that John and his firm J.H. Findorff and Sons supported our fundraising and social events. Above all, we had great sociability and fun. He passes the gavel to Bob Dombroski as the 2014-15 club president. 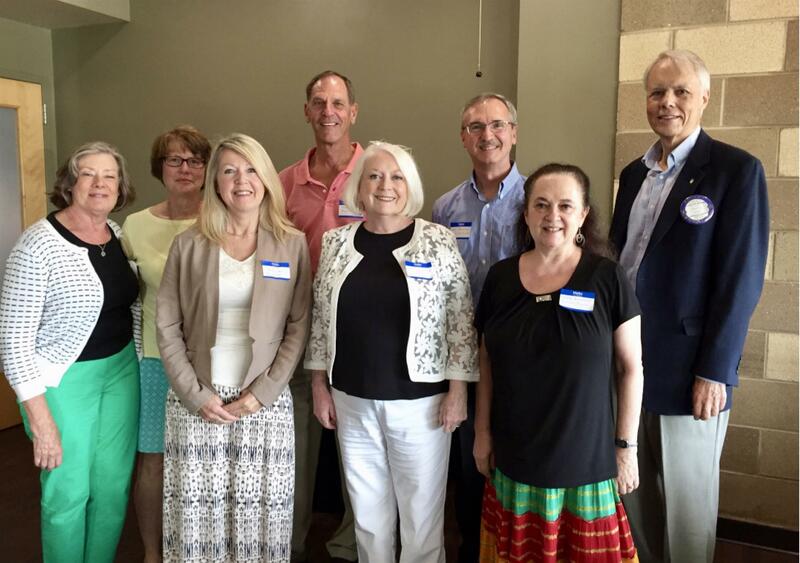 Club grant recipients Carol & Bob Dombroski, Rotary Books for the World; Al Arnold of Reading Clinic; Tom Meyer, Aaron’s House; Emily Auerbach, the Odyssey Project; Heidi Hastings, Connect House, club foundation president Bruce Harville on June 23. 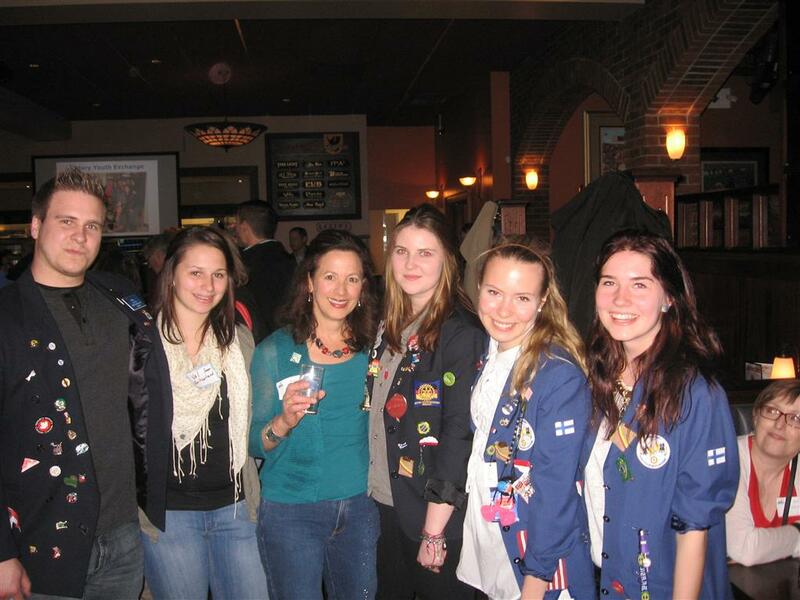 Club members, friends, Rotarians from area clubs, and area exchange students enjoyed a lively party at Sprecher’s on April 24. They were offered beer and food parings, and root beer floats as they checked out the 20 raffle gifts displayed in the center of the room. Among the raffle gifts were a Trek bicycle, jewelry, golf gift cards, and picnic foods to name a few. Many thanks go to Betsy and Doug Nordstrom and their committee for all the work putting this event together. A special thanks to the sponsors: J.H. Findorff & Sons Inc., Jim and Melissa Sirianni, Future Foam, and Doug and Betsy Nordstrom. 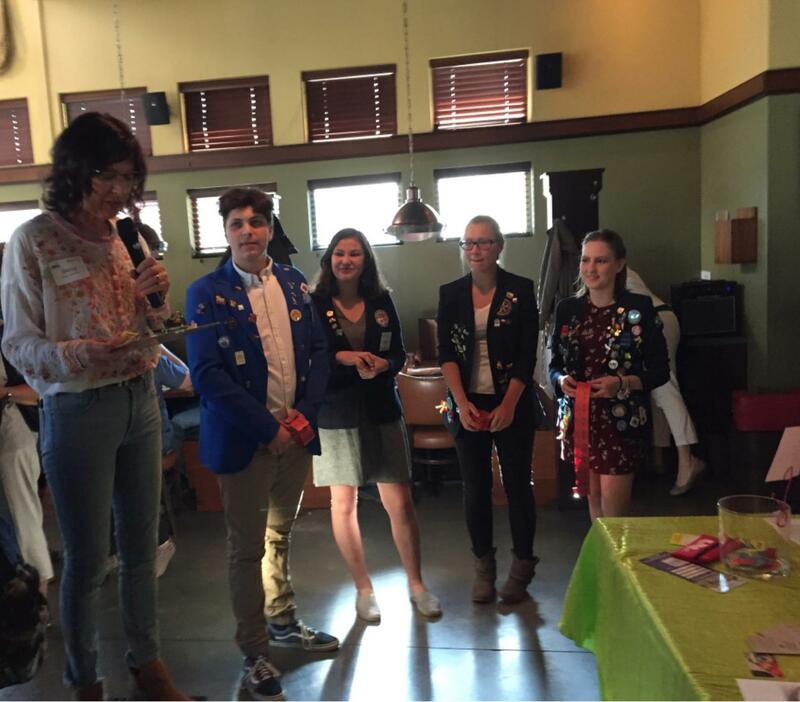 Area exchange students took turns drawing the winning raffle tickets for each prize. Among the guests were Sari’s visiting parents and brother, Dean Ryerson, District Governor; Dave Warren, the District Governor Elect; and Mary Van Hoot the area Assistant DG and DG Elect-Elect. 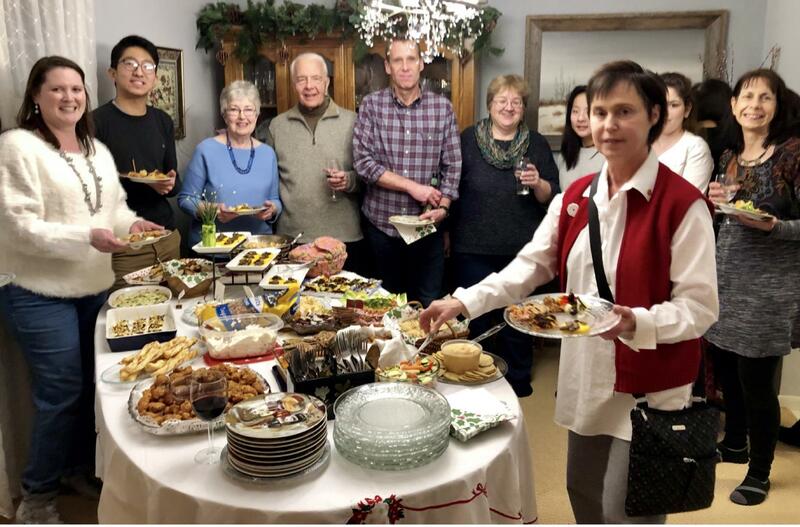 Club members and guests, current and past host families, and even Junior, the English teacher Group Exchange member from Brazil, gathered to celebrate the holidays at the home of Eng and Bill Braun on Saturday, January 11. 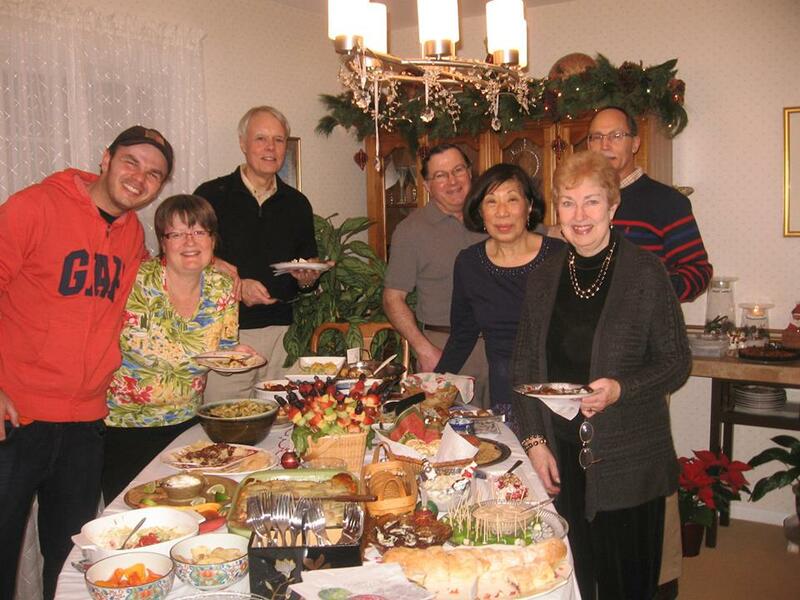 Club members added to Eng’s wonderful appetizers to fill the table with holiday foods. Members got to see Eng’s kitchen where she makes pies with the exchange students. Our thanks to Eng and Bill Braun for their hospitality. 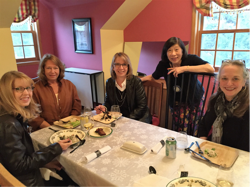 It was great to get together after such a long time away due to the holidays and the weather. The Friends of the Libraries Semiannual Book Sale ended on October 19th wrapping up another hugely successful event with lots of interesting and sometimes rare books. (Did you see the line of people waiting on the first day? It’s like Black Friday for the Libraries!) Most of the books donated to the Friends are sold at the sale; but what about the books that aren’t chosen for a good home? What happens to them and where do they go? Madison Breakfast Rotary Club members decorating trees at UW Hospital. Each year, Friends of UW Hospital and Clinics, Inc., offers Love Lights as a special way to honor and remember loved ones through the sale of blue and white lights that adorn trees outside the main entrances of UW Hospital and Clinics. On July 27, club members participated in a Paint-A-Thon sponsored by Project Hope. 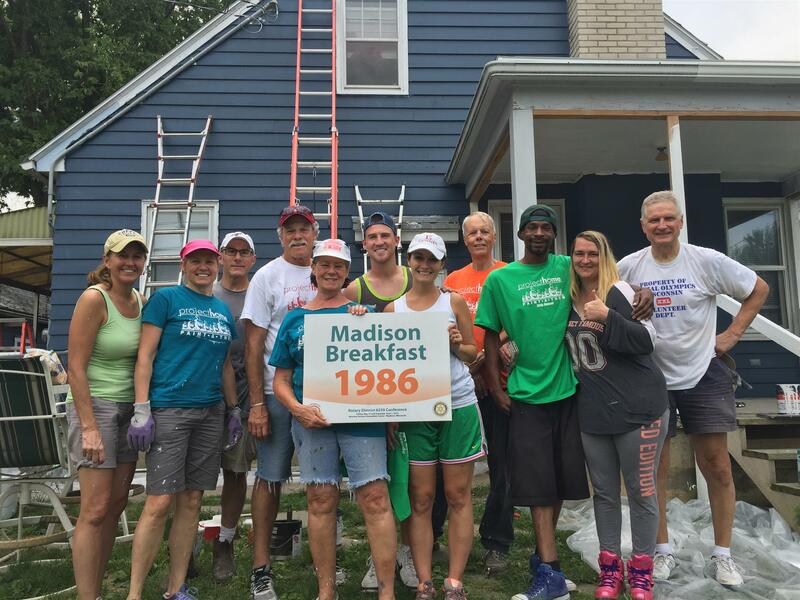 Members of the Madison After Hours club joined the group to paint a house on Waubesa Avenue in McFarland. Club members and new and old friends are invited to gather at Sprecher’s on Saturday, August 13 from 5-7 pm, to welcome the incoming exchange student and new and old host families. The gathering will be held outside (weather permitting) on the patio. Chips and Dips and hot pretzels will be provided by the club on each table. There will be wait service for people to order beverages. Tuesday is also $8 burger night for those wishing to stay later. See Betsy Nordstrom for details. Kudos to AJ Ernst and club members who hosted the GSE team from Brazil from Friday, May 3 to Monday, May 6. Pictured: Mike Kafka, Brenda and Thom Weiss, George Yelder, and Jackie Williams at the Special Olympics at Oregon High School on May 11. 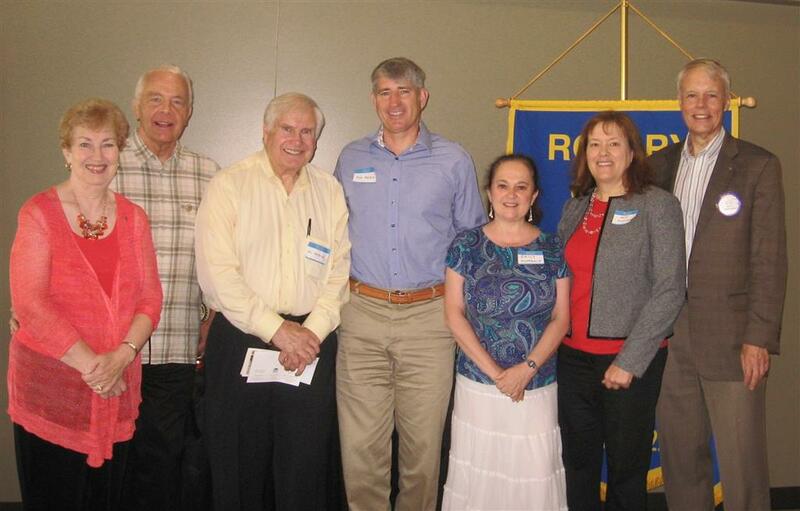 A Rotary Exchange year in Brazil in 1992-93, changed her life, Tabatha Williams told Breakfast Rotary on February 20.